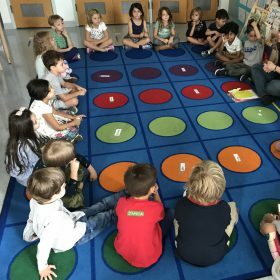 We are so excited to welcome you to kindergarten at Peck Slip. 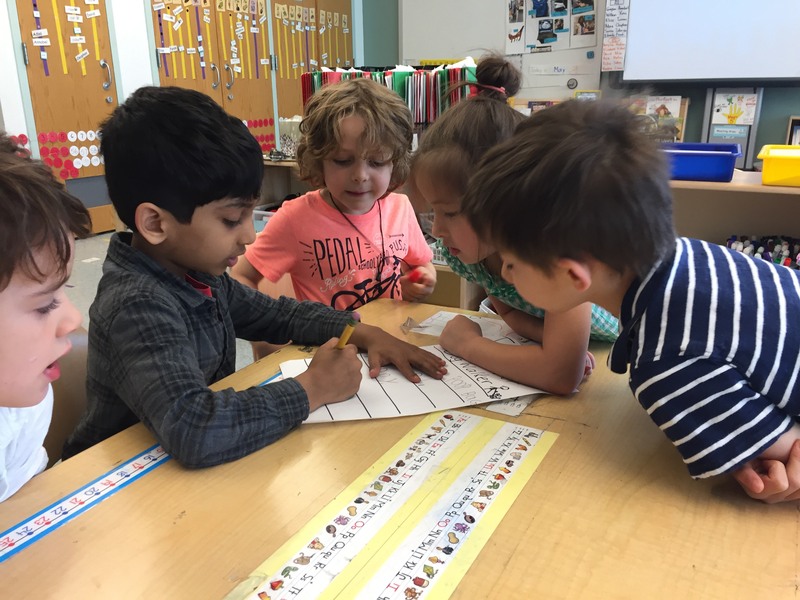 This year is going to be filled with many opportunities for friendship, exploration, and learning among many other exciting parts of kindergarten life! We are happy to be a part of your school experiences and anxious to meet all of you! 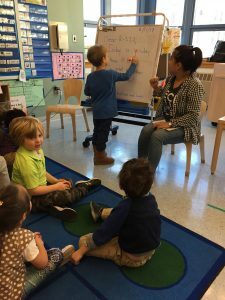 My name is Meredith and this will be my 12th year as a special education teacher in New York City but my first year at Peck Slip School. 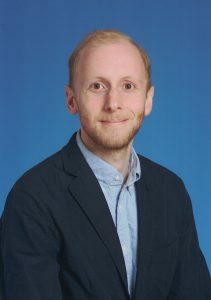 I’m so excited to work with students again after I took a year off to pursue a master’s degree in Educational Transformation: Policy and Advocacy at Georgetown. Living and learning in Washington D.C. has been amazing, but I am eager to return to New York and teach my favorite grade of all time. *Not my dog, but he’s so cute and my favorite! His name is Charlie. 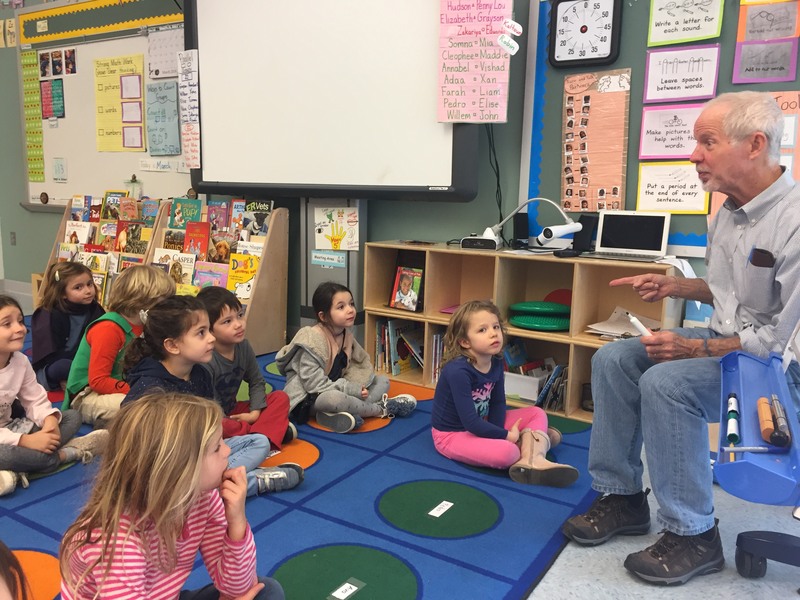 My name is Greg, and this will be my fourth year teaching kindergarten in New York City. Like Meredith, I am new to Peck Slip! 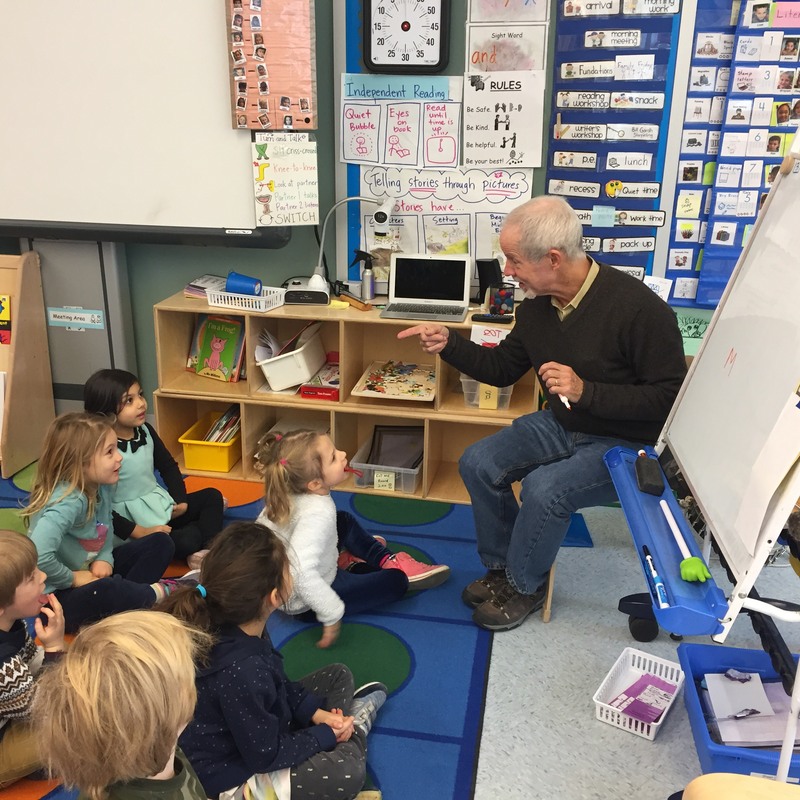 Before working in the classroom, I was an educator and camp leader at a children’s carpentry program, where I saw in each project how much kids loved learning through meaningful work. 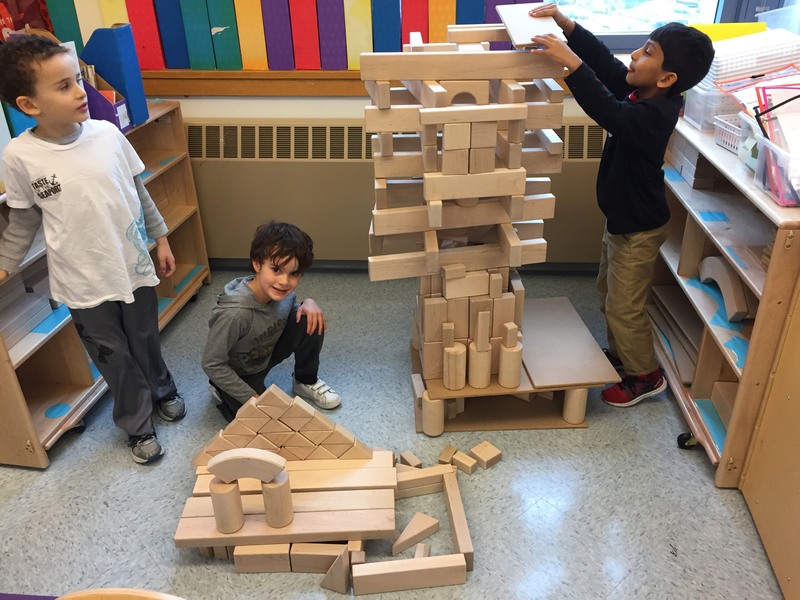 I am thrilled to be teaching kindergarten, where there is so much to discover, and play is a serious business. We are excited to be working together this year and sharing our particular strengths with the class. We look forward to meeting you in September! 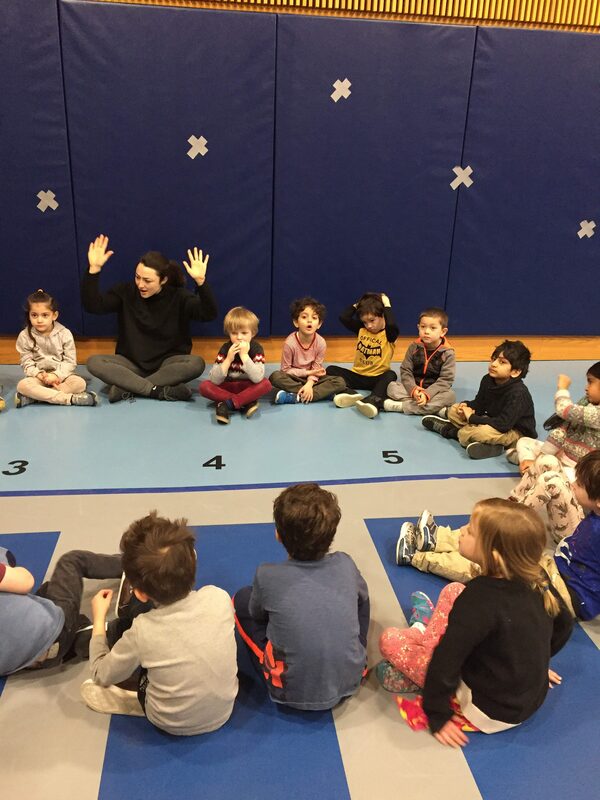 If you have any questions or concerns before then, please feel free to email us at mrossbach2@schools.nyc.gov and grubin2@schools.nyc.gov. Make sure to include both of our addresses in your correspondence. We will begin checking email on Tuesday, September 4. Have a great end to your summer, and we will see you soon! 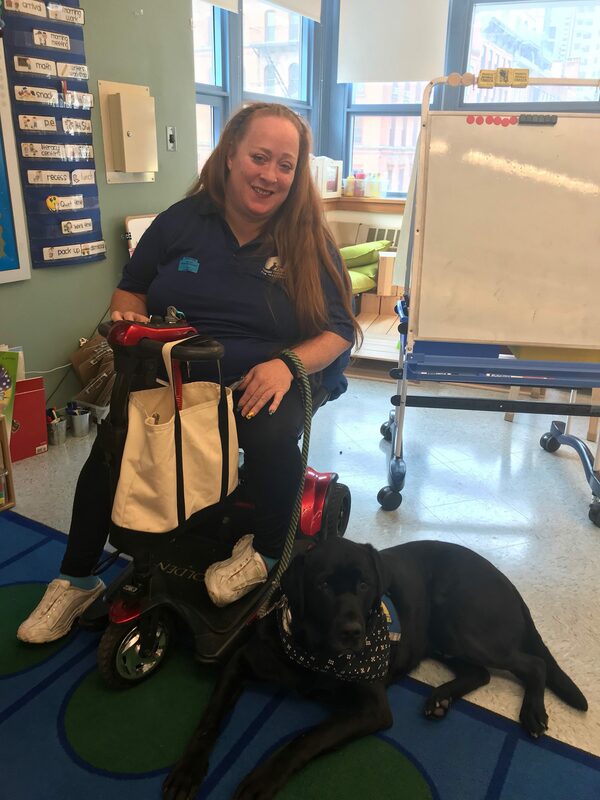 Annemarie and her dog, Domino, taught us about service animals. Maggie and her gecko, Gus, taught us about pet lizards. 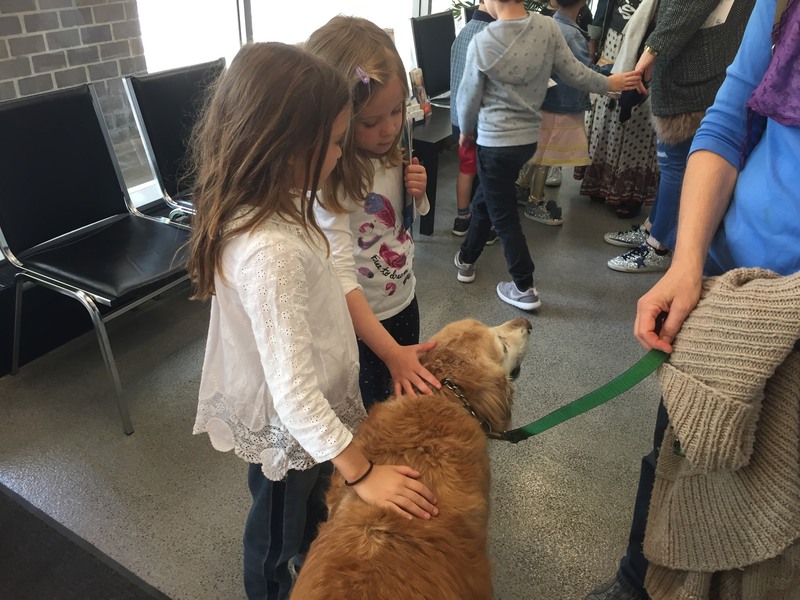 Heather and her dog, Tristan, taught us about their dog walker business (Paws on Pine). 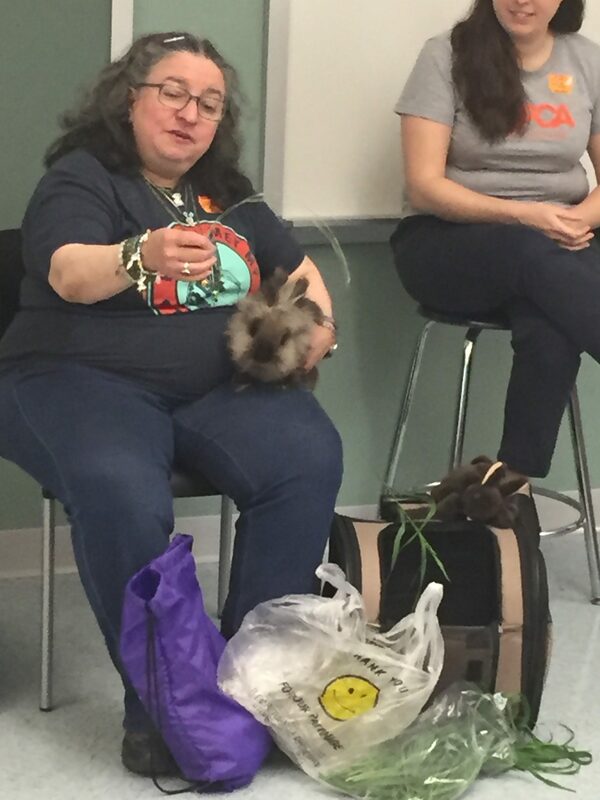 Maria and her rabbit, Lauretta, taught us about the ASPCA and therapy animals. 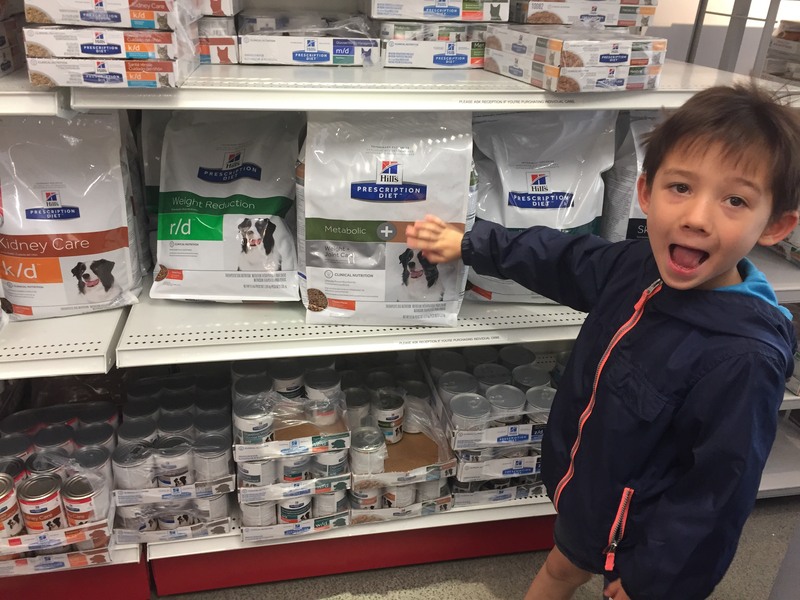 At Petco, we learned about pet stores. 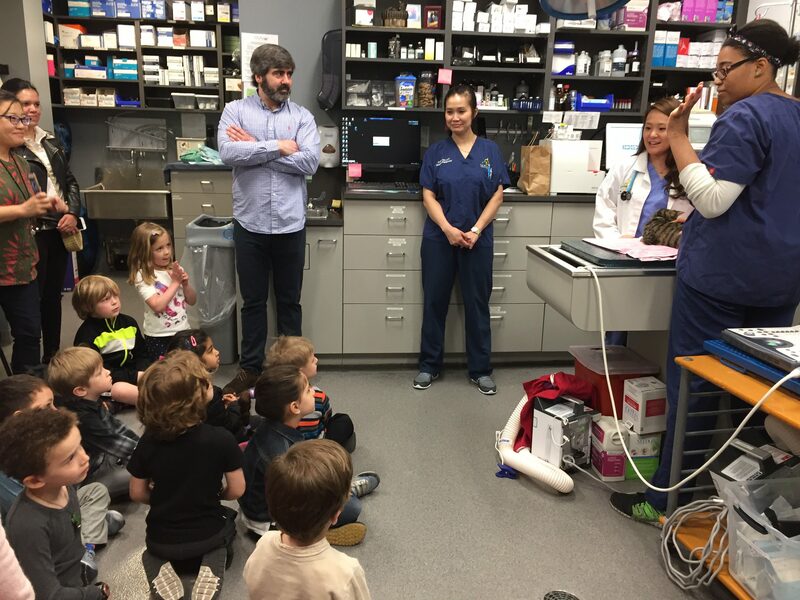 At Seaport Animal Hospital, we learned about vets. All our research is culminating in some big projects. We hope you’ll come to see them on Thursday, 6/14 at our Pet Expo! 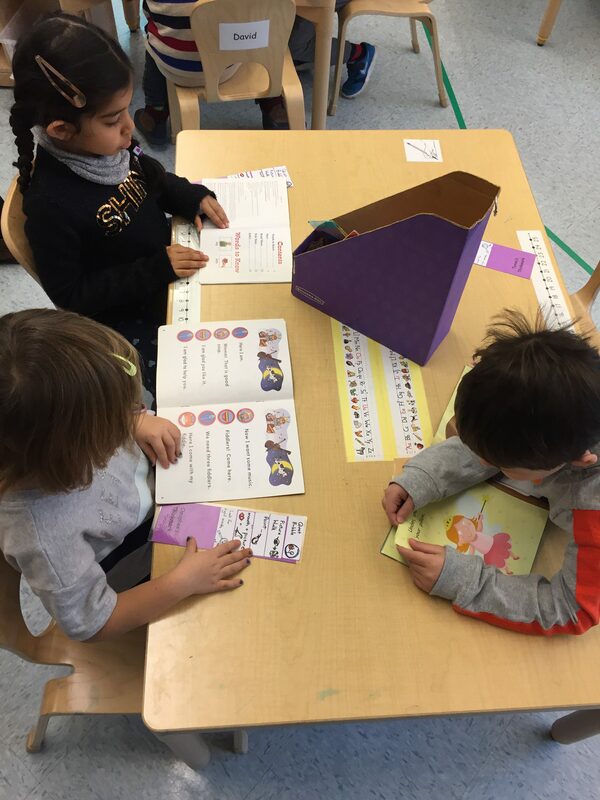 We read and engage in all different types of literacy activities every day, and the K-222 students are blossoming into readers. 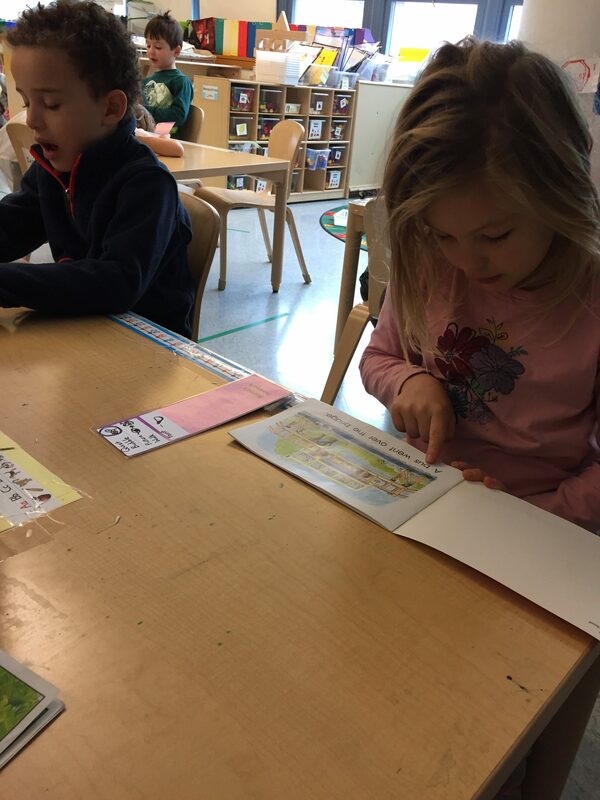 You may have noticed when you last sat down to listen to your child read… the hard work is paying off! 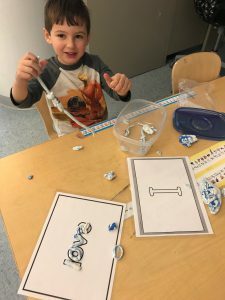 The K-222 writers have published their “how-to” and “all about pets” books. You can read these books to learn how to do something, study up on taking care of pets, and discover important facts about different pets. We recently launched a persuasive writing unit, and have been thinking about how to convince someone to agree with an opinion. How many ways can you make 6 with 2 different types of candy? How many ways can 2 types of cupcakes fit into a box of 5? or 10? How many ways can 8 kids sit on 2 bunkbeds? 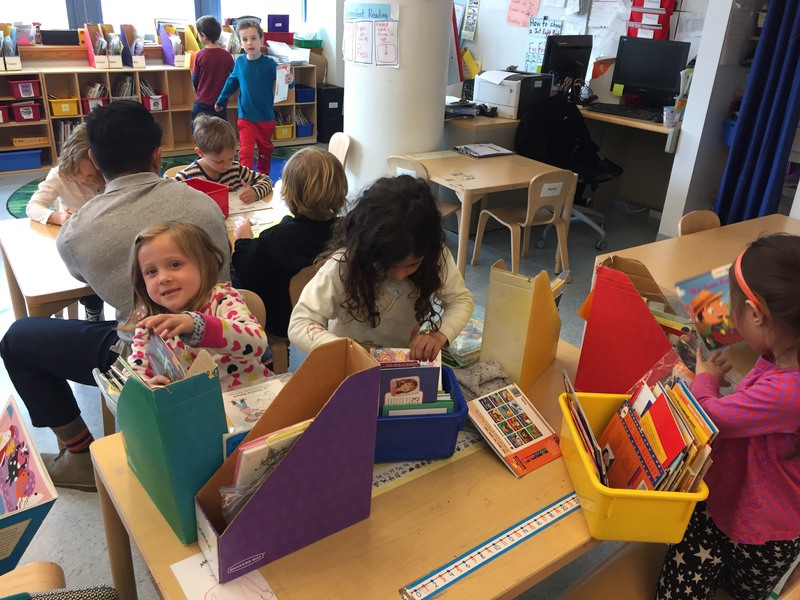 Students are settling into the weekly routine of book shopping for just-right books and borrowing these books in take-home bags. Thanks for your help getting these books back to school every Thursday! 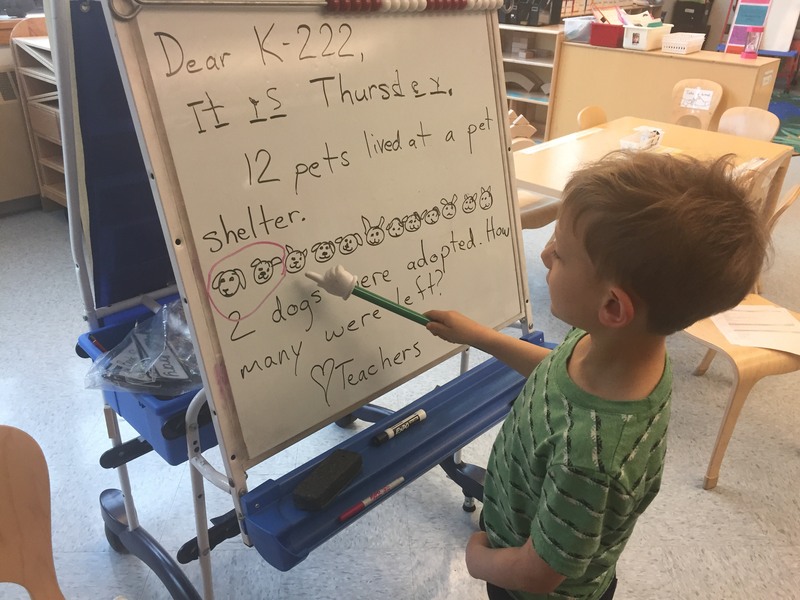 K-222 students decided to do begin our research for the Pets Study unit by asking people who have pets to tell us about them. Question words like, “do,” “does,” “how,” and “can” have been very useful in these interviews. 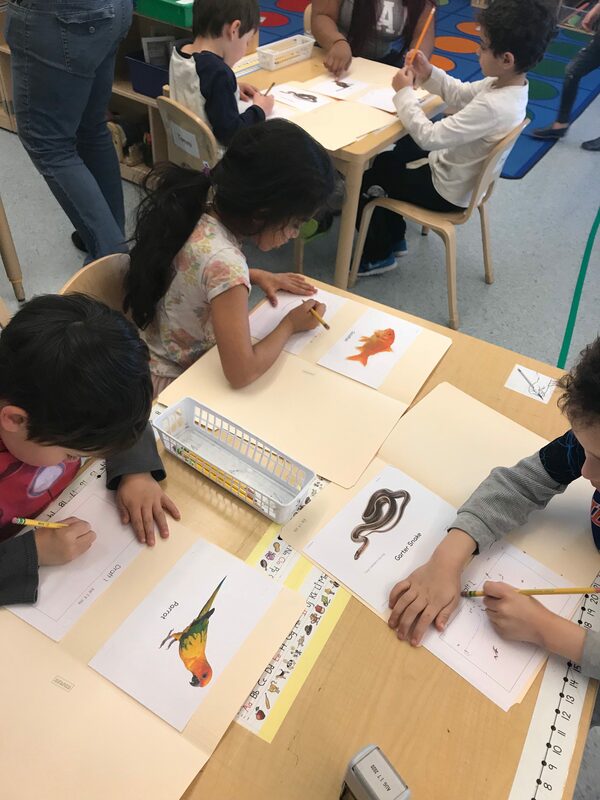 So far, we’ve interviewed three teachers: Simona’s class taught us about a pet chinchilla, Ashley taught us about a pet snake, and Robin taught us about some pet chickens. 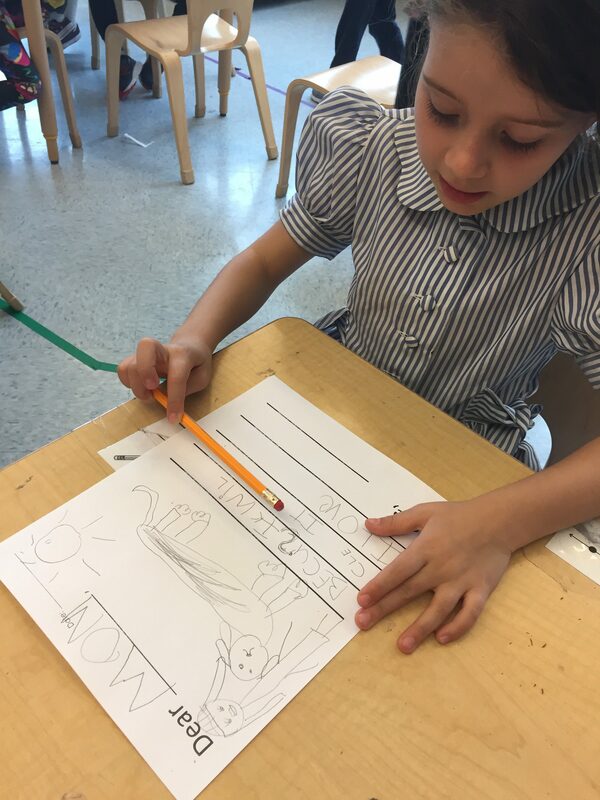 We also started making detailed, scientific observational drawings of a variety of pets. 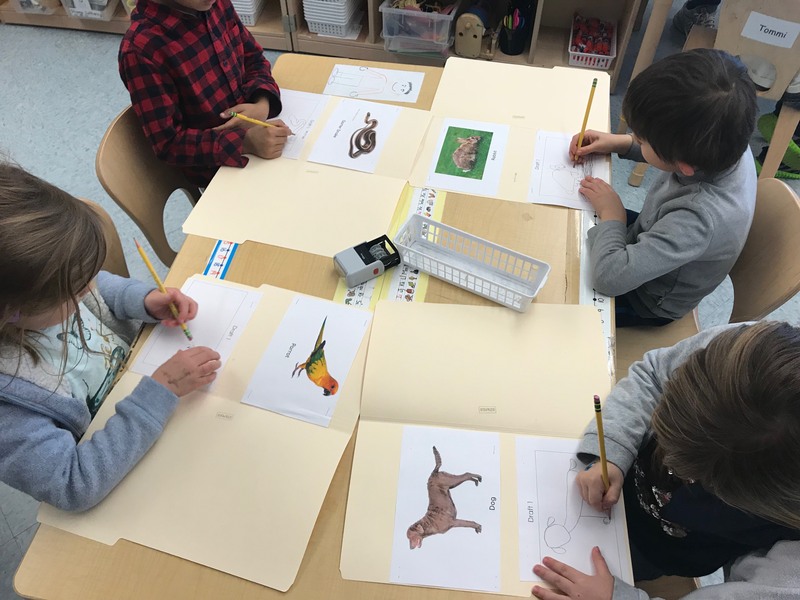 Students chose which type of pet to focus on, and did a careful drawing from a photograph of that type of pet. 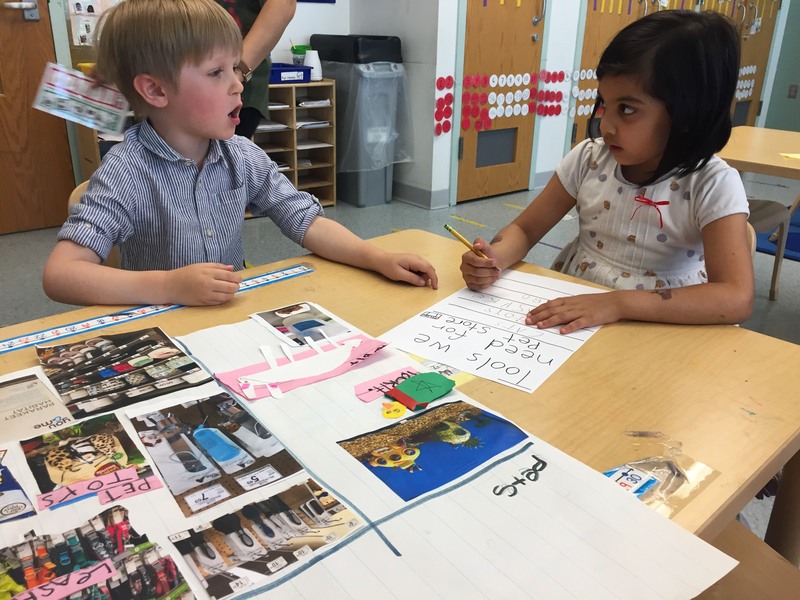 Partners looked carefully at each others’ first drafts, and made suggestions of how to make the next draft look even more like the photo. We will continue this process of drafting and giving constructive feedback over the next month, until our final drafts are complete! Our writer’s workshops have focused even more on the idea of making our writing easier to read. 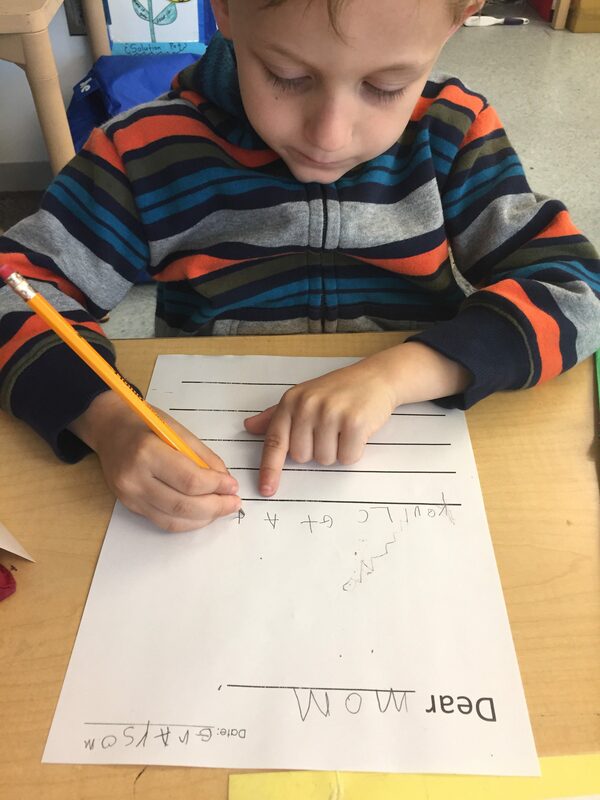 We’ve added new strategies to the writing checklist, including, “Add a period at the end of each sentence,” and “Read your writing.” For narrative writing, sometimes they choose to write non-fiction (about something that happened for real), and sometimes they choose to write fiction (about something they pretend happened). 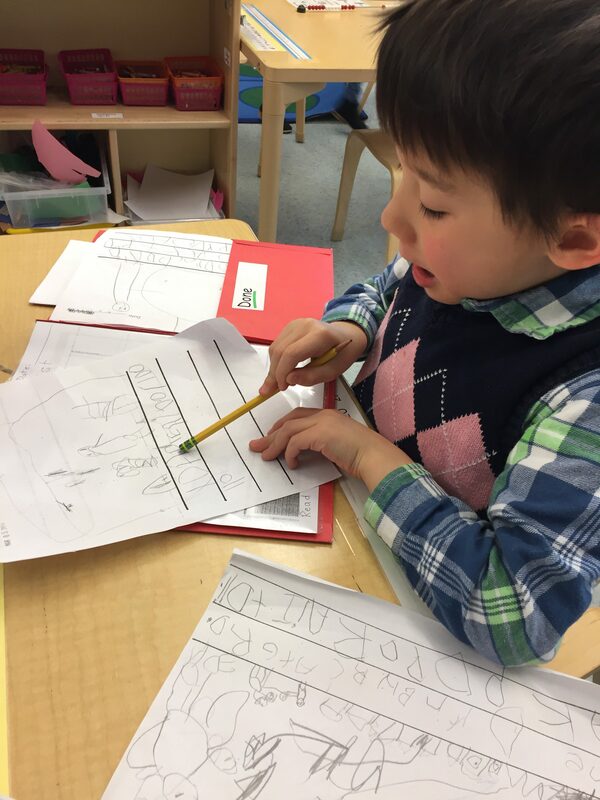 K-222 writers have been producing some truly excellent narrative writing pieces! 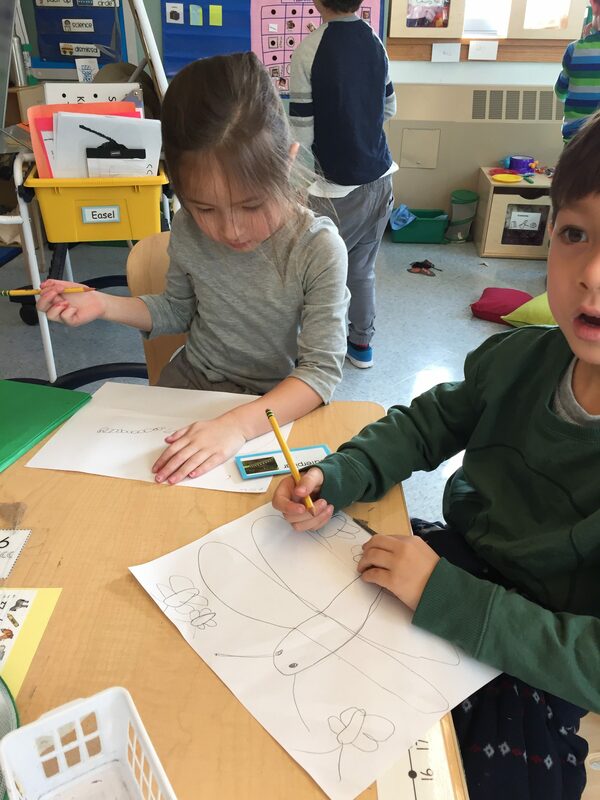 K-222 students are working to document their mathematical thinking in a way that is really clear, so that someone else can understand it. 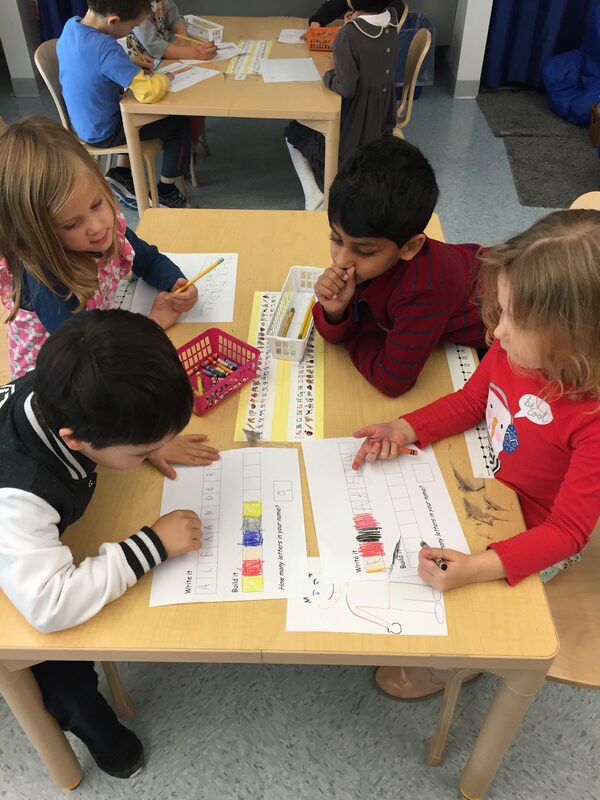 We’ve been discussing how numbers, words, and pictures can really help to make our math work strong! 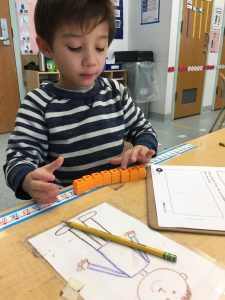 For activities where showing how you solved a problem is critical like, “inventory bags” and “story problems,” showing “Strong Math Work” has been very helpful. Interview some pet experts and visit some local pet stores. Think about doing your best work and working your best. 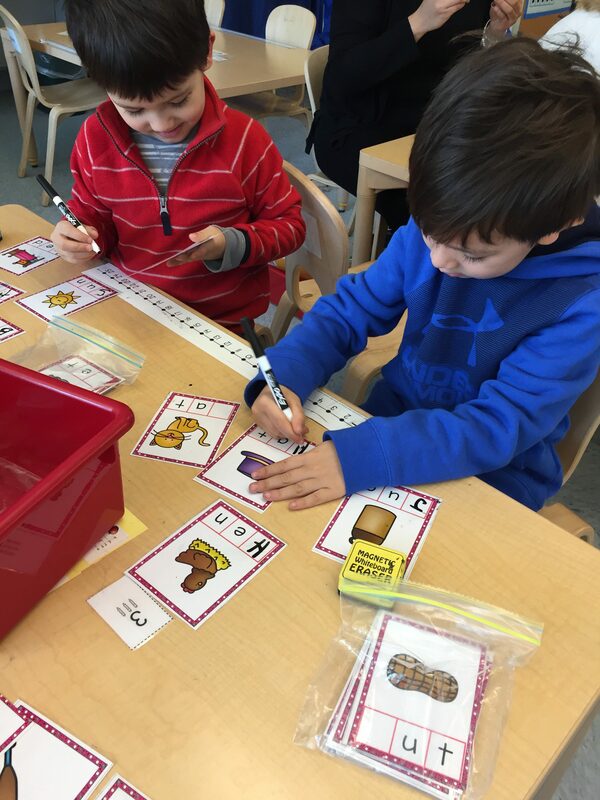 Study more about blending letter sounds, decoding simple words, and sentence structure. 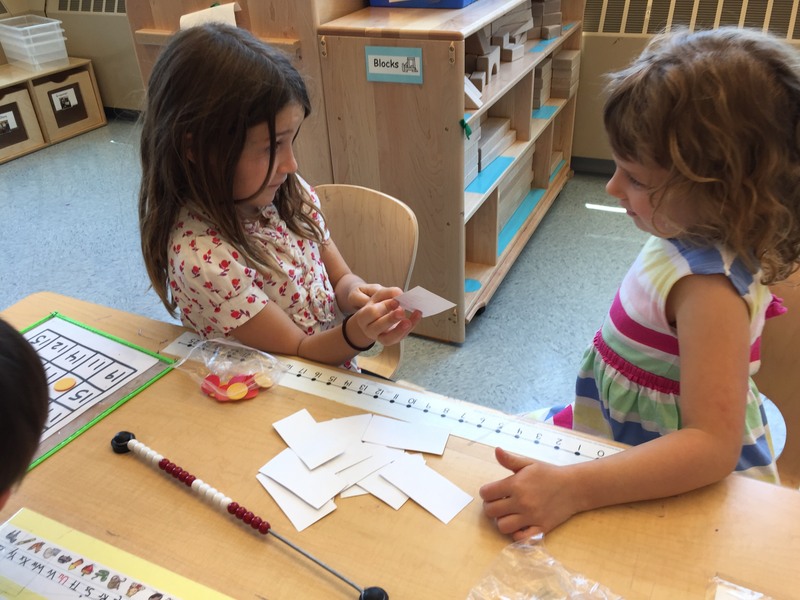 Focus on math concepts of doubles, part/whole relations, and equivalence. 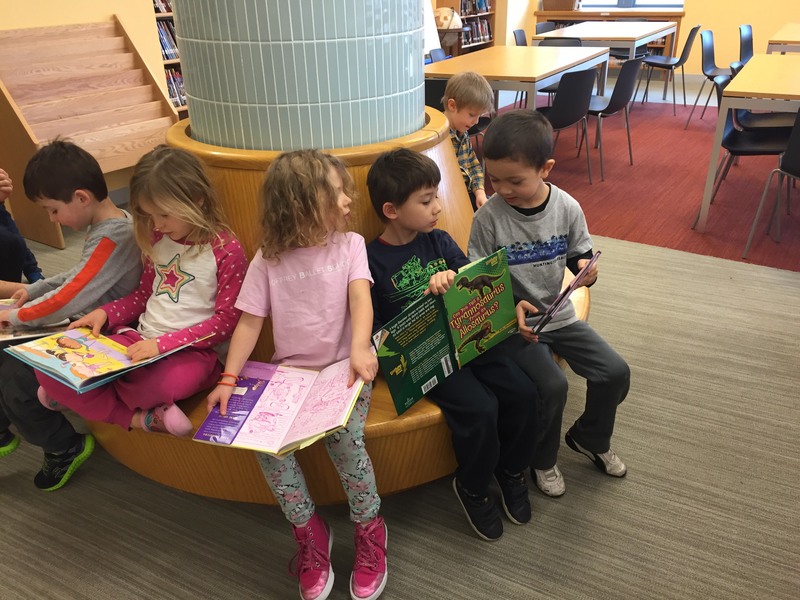 We hope you’ve enjoyed borrowing just-right-books with the blossoming readers of K-222! Remember to return these books every Thursday so that your child can pick more to bring home the following week. 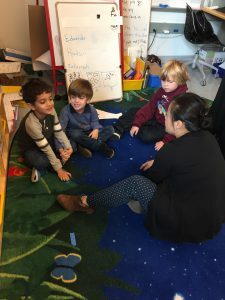 It’s okay to give your child a word if they get stuck, but remember to refer back to using the reading strategies so they can gain more independence. Also keep in mind that both decoding and comprehension are important parts of reading. 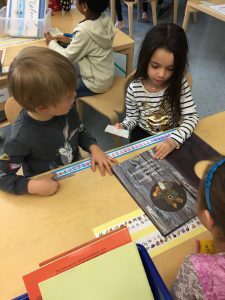 To support your child in comprehension, ask who, what, where and when questions about the book. 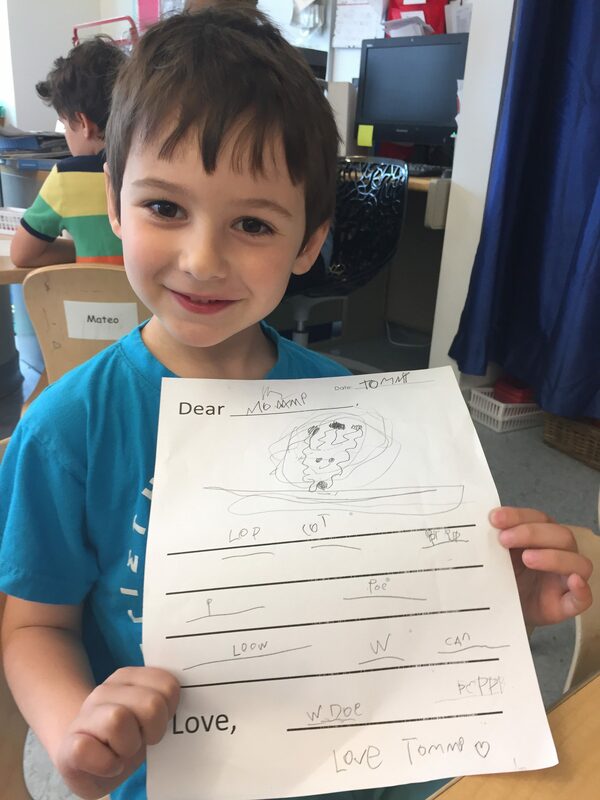 Our academic work this month included wrapping up our butterfly/moth study, new capital letters and sight-words, independence and stamina in reading, adding to words/pictures in writing, and counting/addition strategies in math. See below for more details! 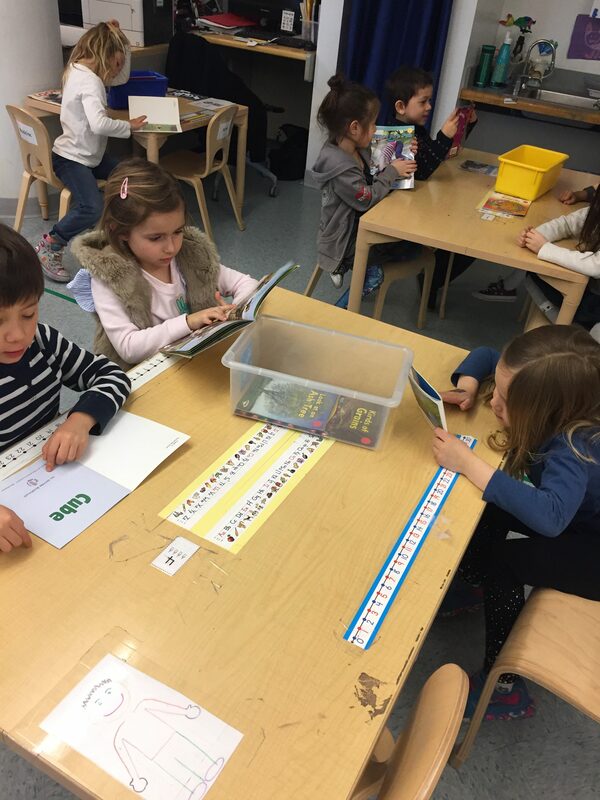 K-222 readers are moving up in their ability to maintain quiet, sustained reading. 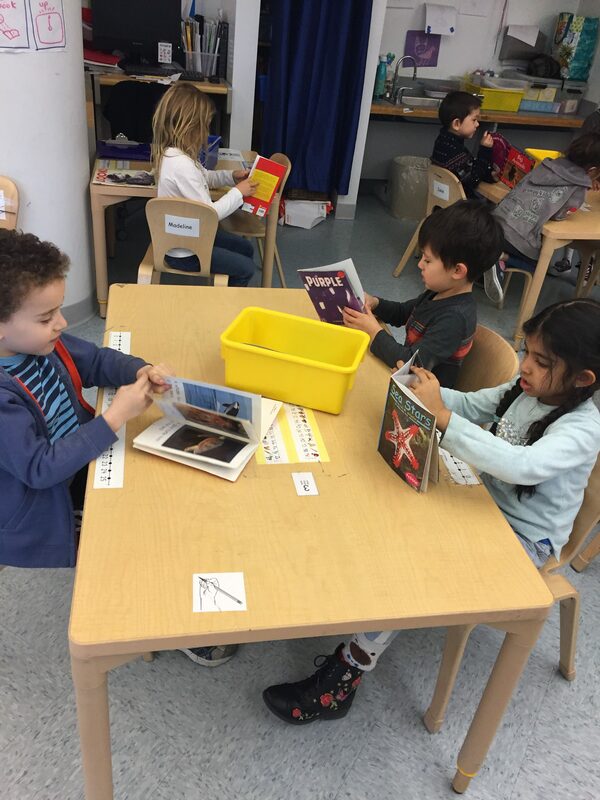 When each student has his/her own book bin and is inside his/her own reading bubble, we are up to nine minutes of independent reading! 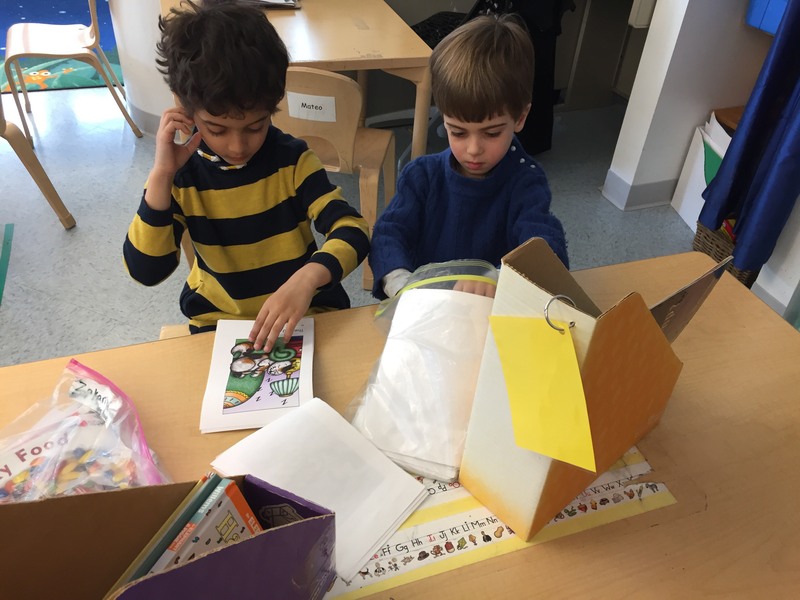 Shared reading, guided reading, and literacy centers are times that provide students with strategies for this independent reading. 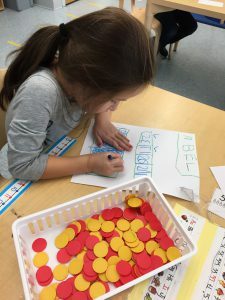 Readers are gaining momentum with incorporating strategies for sounding out new words, recognizing sight words, making use of word patterns, and using the pictures in conjunction with initial letter sounds. 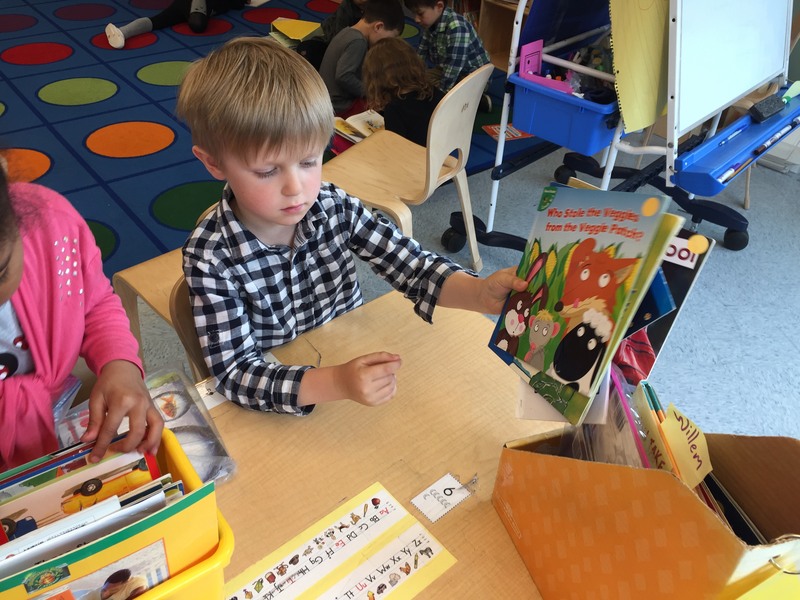 Read-aloud books this month have focused on the idea of being flexible. The Superflex character helps us see that thinking about things in different ways makes us strong like superheroes. 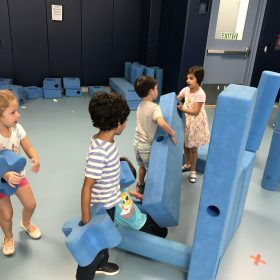 The Rock Brain character demonstrates how when someone is stuck on only one way to do something and won’t try other solutions, that person usually doesn’t have a good time and isn’t very fun to play with. We related these concepts to characters in books like The Butter Battle Book and The Zax by Dr. Seuss. “Why do people write?” This question has sparked some wonderful discussions about how we can use writing for many different purposes. 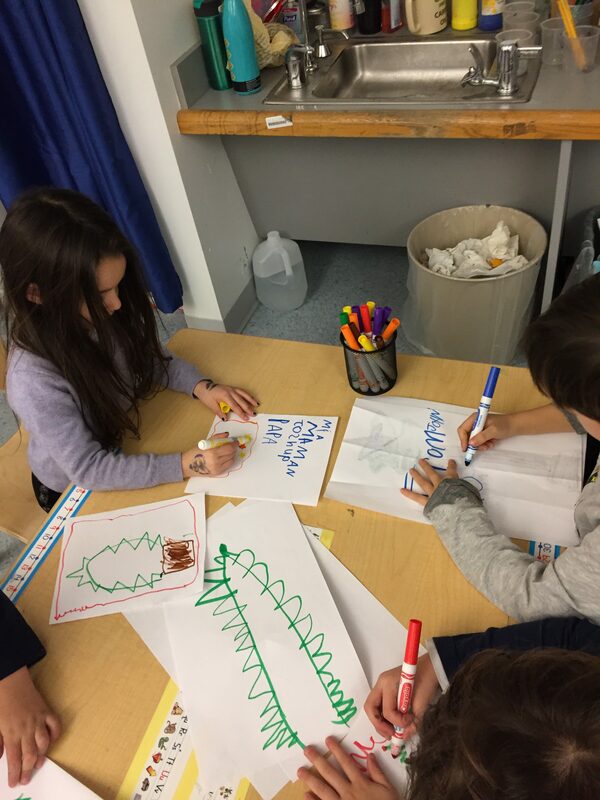 Students helped brainstorm a list of why people write that included writing letters, teaching stuff, making a menu, and making signs. 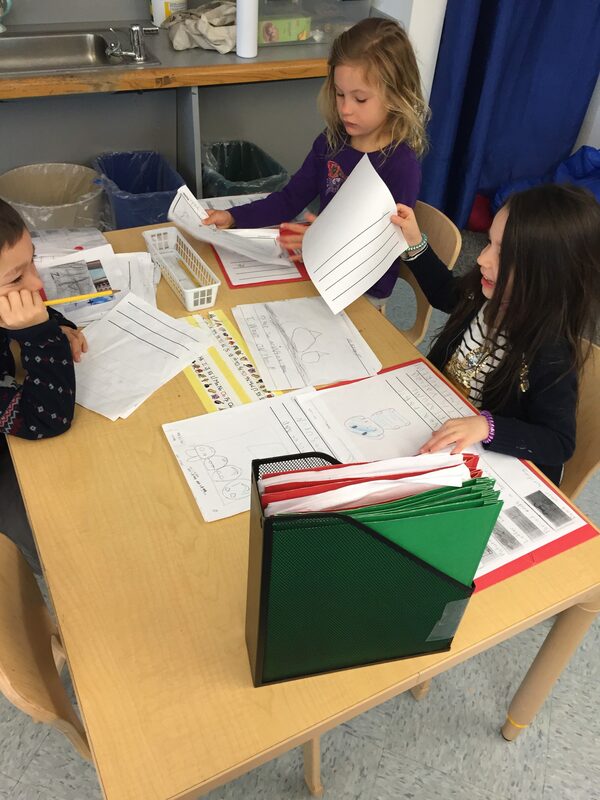 With these ideas in mind, they are using their writing skills more and more throughout the day. 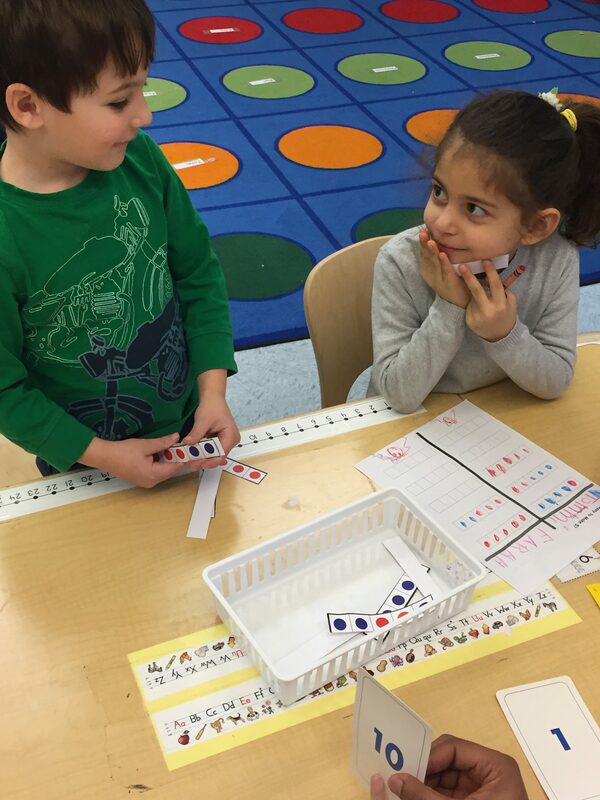 Preparing for and celebrating the 100th day of school involved a lot of counting! 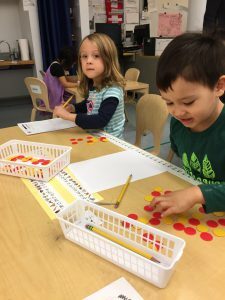 Students counted by ones and by tens to 100, used a variety of models for counting, and practiced explaining their mathematical reasoning. 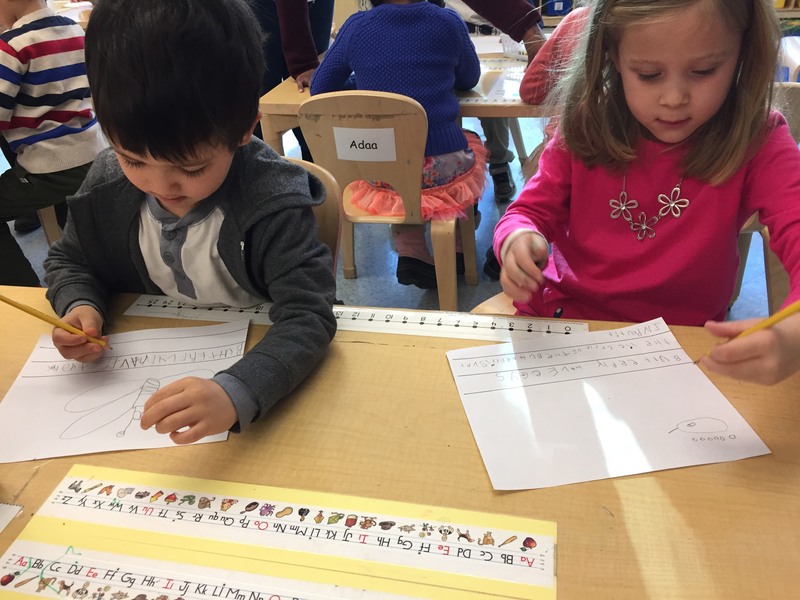 On the 100th day of school, students thought deeply about, “How much is 100?” They counted 100 pieces of snack, did 100 exercises, and drew a picture of what they might look like on their 100th birthday. Continue with the “Writing for Readers” unit from Teacher’s College, with a focus on narrative writing. 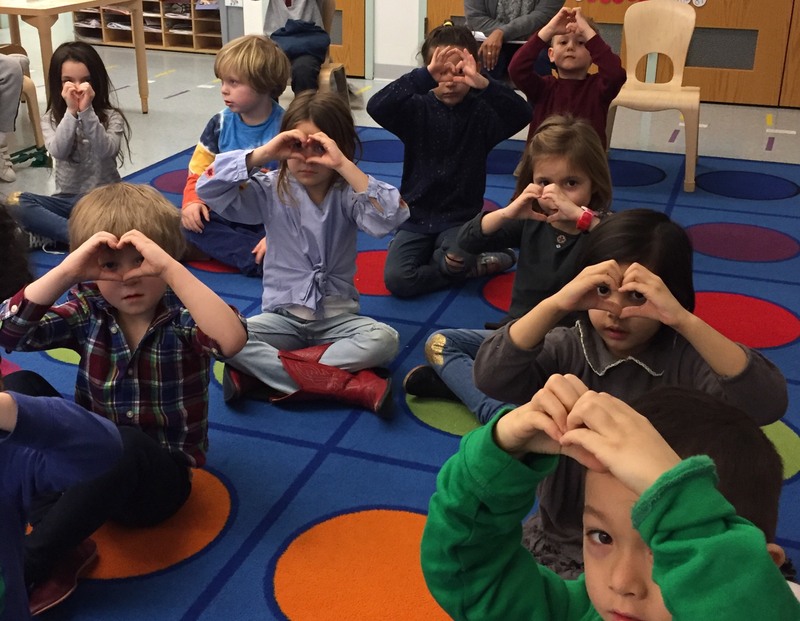 Learn about using kind words with others. 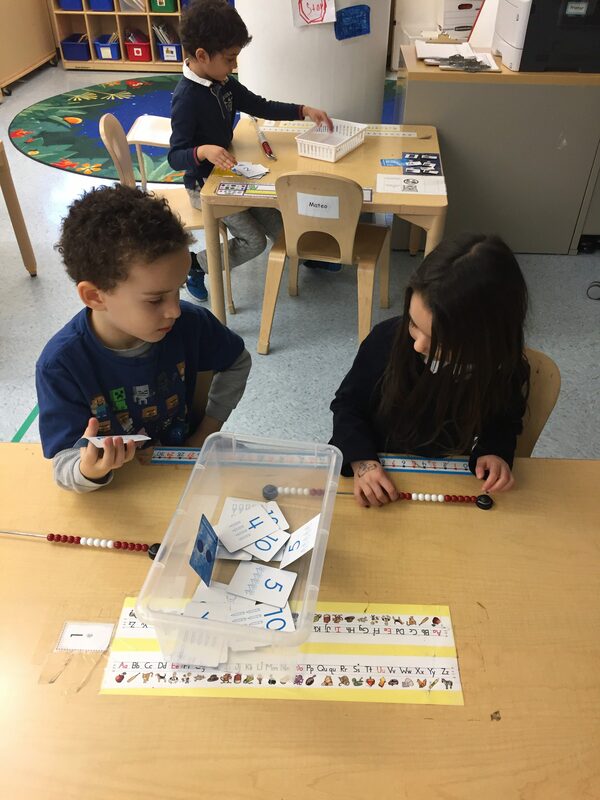 Focus on blending letter sounds, decoding simple words, and sentence structure. 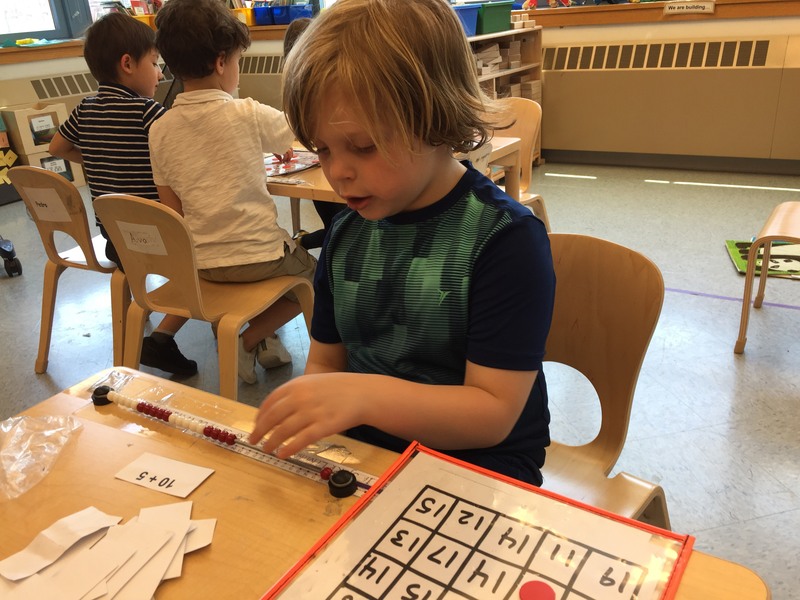 Work more with concepts of addition, subtraction, and number sense strategies. Begin the content study unit on pets. Happy 2018! 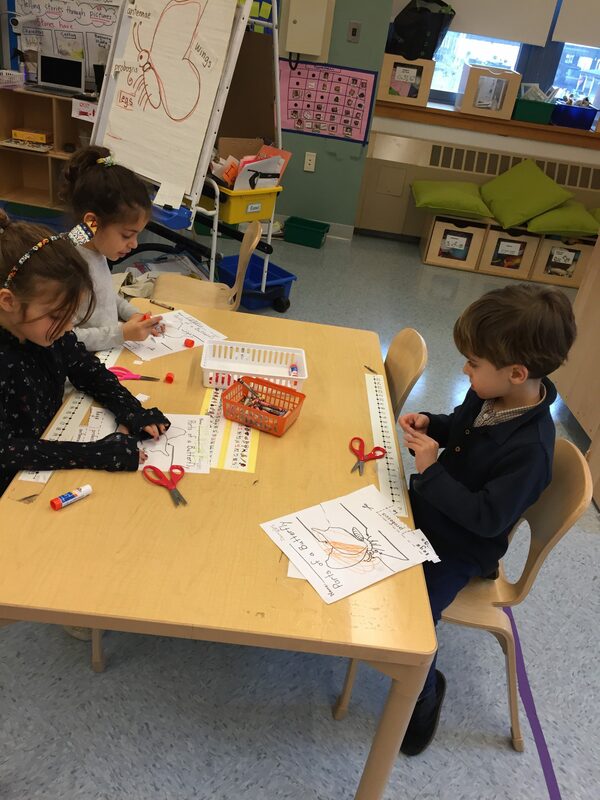 We have had a productive beginning-of-the-year in K-222. 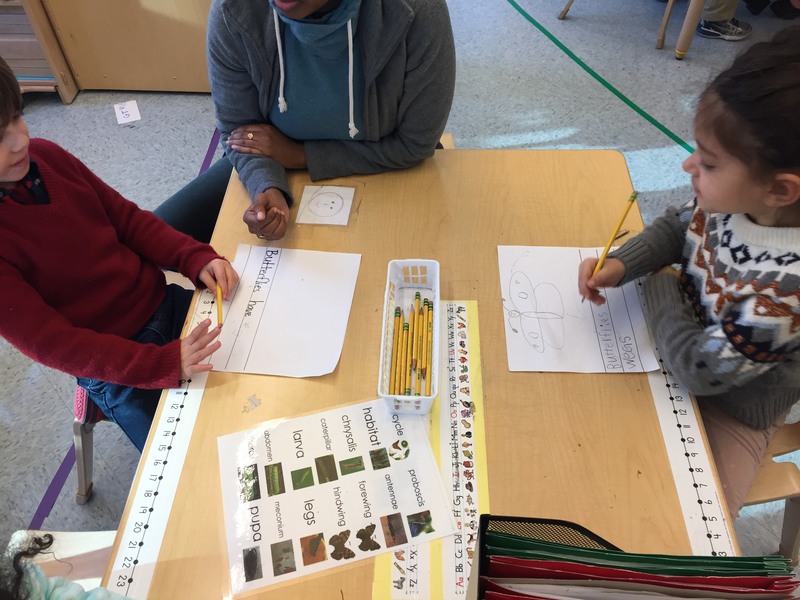 This has included learning even more facts about butterflies and moths, discussing the work of Martin Luther King Jr., increasing our reading stamina, gaining more independence in writing, problem-solving with counting/addition, and exploring geometric shapes. 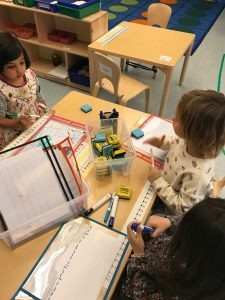 With “stations,” “literacy centers,” and “guided reading,” we’ve had even more time for small group instruction in math, word study, writing, and reading. See below for more details on our academic work! And remember that you can follow us on Instagram (@k222pss)! Book Borrowing: Starting on Monday 2/5, your child will start bringing home a bag of “just-right” books every Monday afternoon. Please make sure these books are returned back to school by Thursday! The “homework” assignment will be to read a book to you every night. 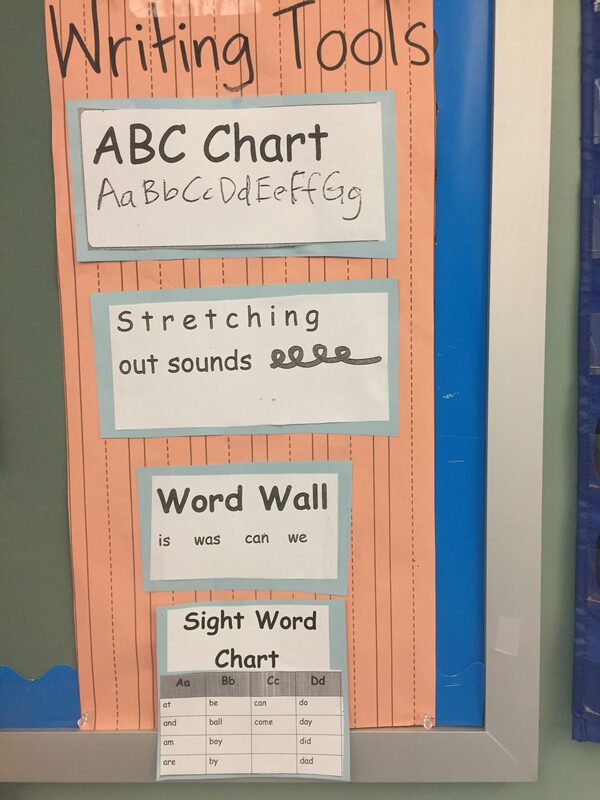 While children may not be able to read every word, they should be able to pick out sight words, point to the words they know as they read, and follow a basic text pattern. There will be a “thinkmark” in the bag too, to remind them of reading strategies they’ve learned at school. Feel free to provide support at this point in the year! Keep in mind that reading at home should be a pleasant activity that you and your child share together. If the task ever seems too stressful or challenging, go ahead and read the book to your child. Please reach out to us if you notice this happening frequently. More detail on reading strategies will be sent later this week! 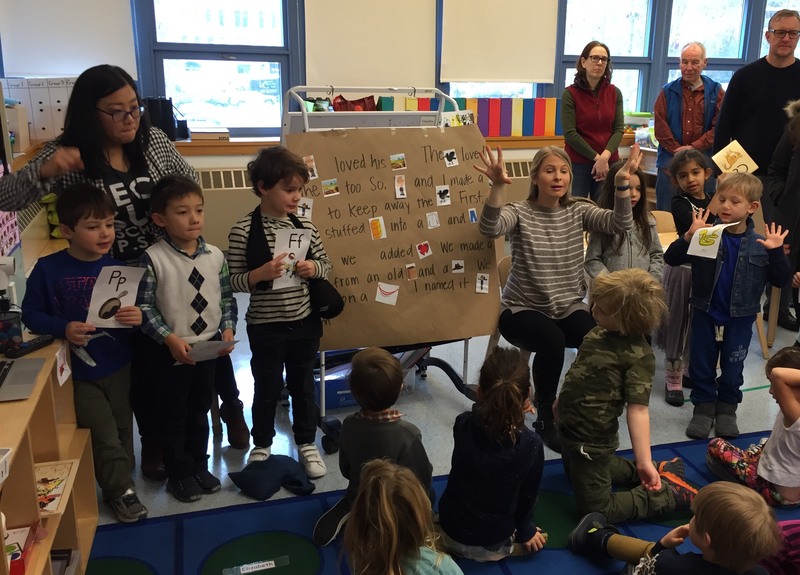 Kindergarten March Report Card Info Session: We are inviting all kindergarten parents at 3pm on 2/12 to preview the March report card expectations. Since these reports are based on end-of-year benchmarks, many students receive “approaching” grades, and this is totally fine! It has, however, caused some stress in the past, so we’d like to give you all the information you need ahead of time. Look for an email to sign-up! 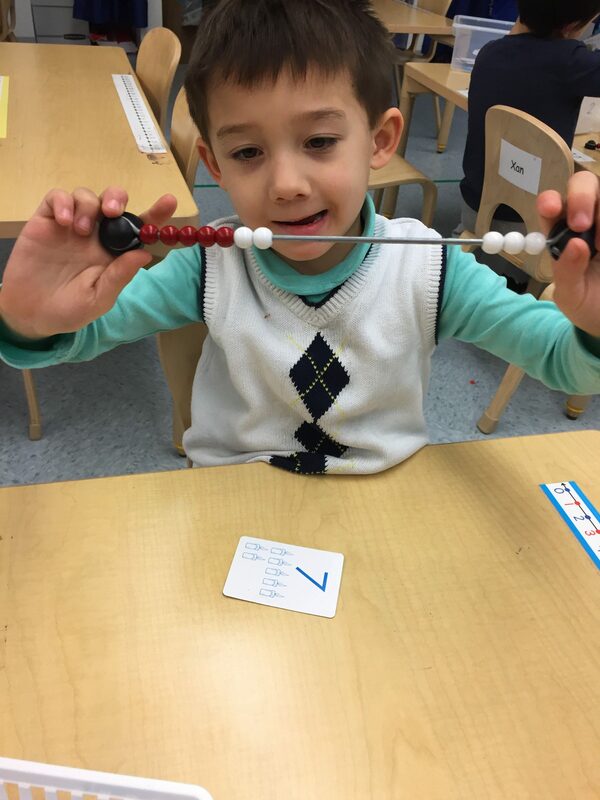 100th Day of School: 100 is an exciting number to celebrate in kindergarten! Please help your child to count out 100 small snack items (i.e. cheerios, raisins, goldfish crackers) and 100 small “museum” items (i.e. marbles, pasta) to bring to school for this special day. Look for an email for more details! 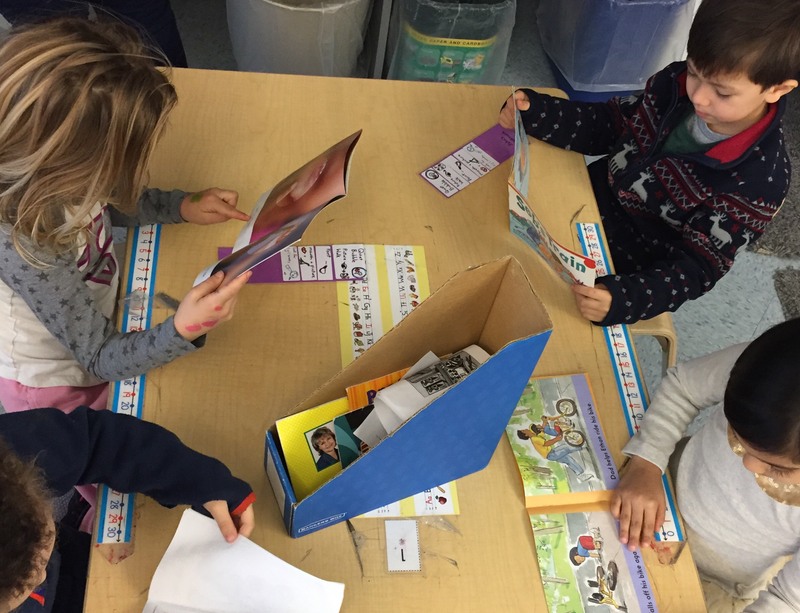 Guided reading and literacy centers have added a new dimension to our reading development. 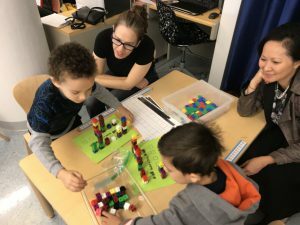 With about four students per team, we engage in activities and lessons that are targeted to challenge each student at his or her level. This means that every day, we are working in small groups on material that is designed to support our growth in reading! A few times a week, the class is split in half for interactive “shared reading” lessons as well. At these times, the twelve students in each group get to focus on a specific reading strategy. 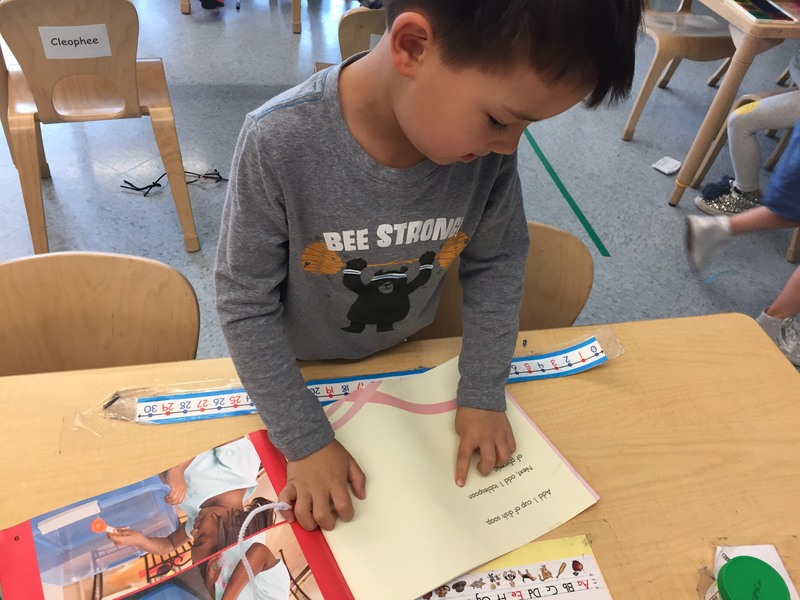 The big books we use are big enough so that everyone can see the text and read along! As a whole group, we’ve enjoyed reading books together this month like Martin’s Big Words by Doreen Rappaport, All the Colors of the Earth by Sheila Hamanaka, and Skin Again by Bell Hooks. We’ve been thinking about civil rights and racial equality. We also discussed how people like Martin Luther King Jr. and Mahatma Ghandi helped change laws with a focus on love, fairness, and non-violent protests. We are excited to be moving into an addition unit in math too! 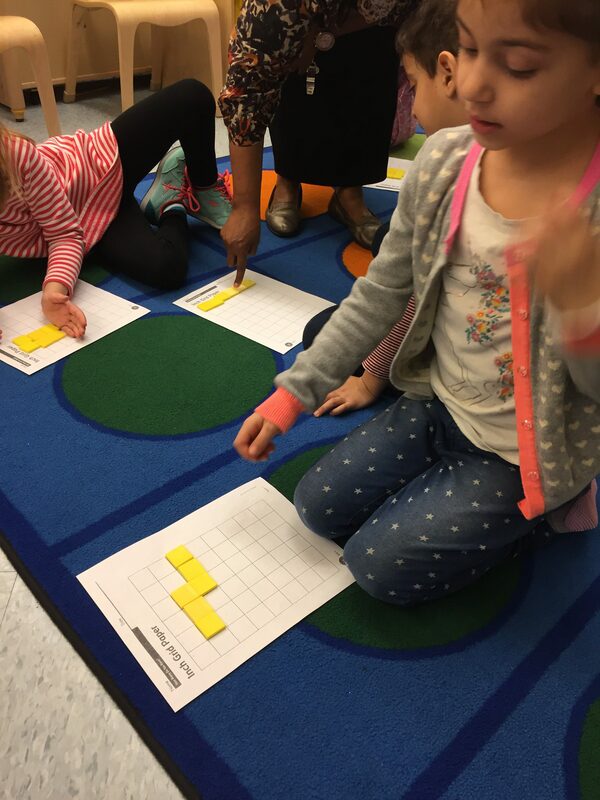 Students are developing a sense of part-part-whole relations with “story problems” and “five and…” activities. 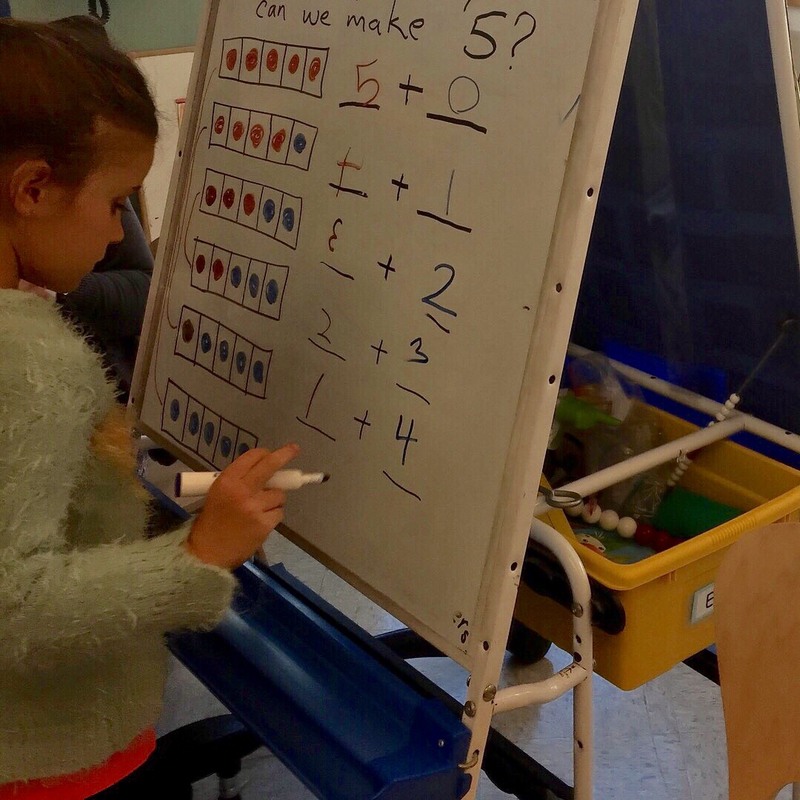 For example, seeing 7 as the whole while simultaneously seeing 5 and 2 as parts of the whole is helping us to build a strong foundation for addition strategies. “Stations” time has allowed us to work with smaller groups of five or six students at a time so we can focus on differentiated challenges. 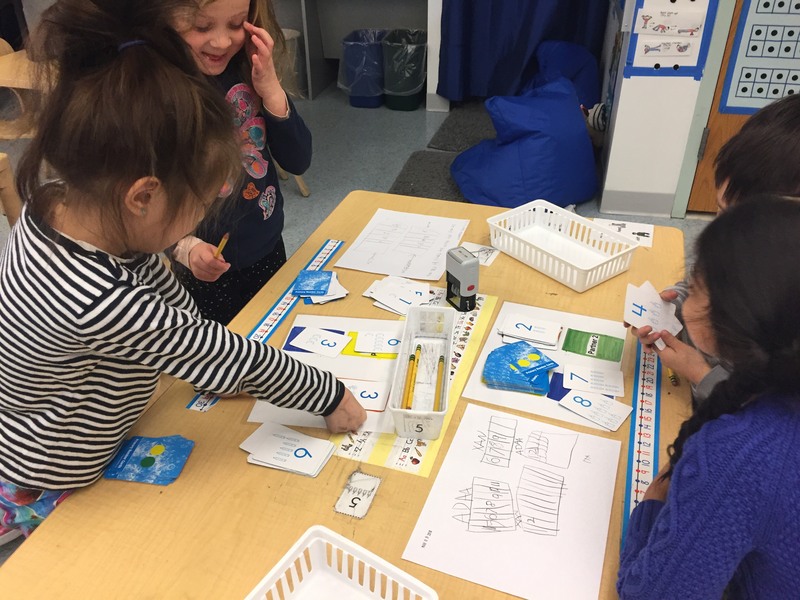 At the “just-right games” station, we work with a partner to practice math activities designed to build on at our ability level. 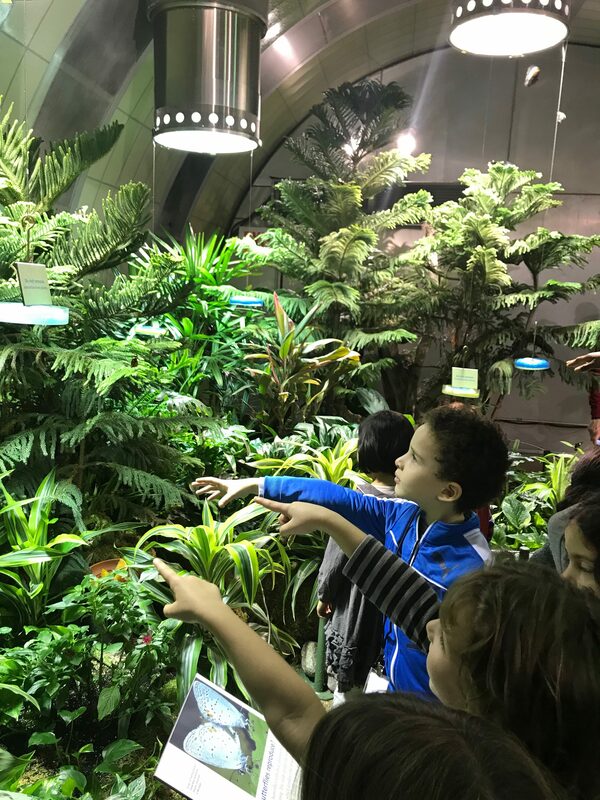 As part of our learning about butterflies and moths, we visited the Museum of Natural History and spent some time with real, live butterflies and moths! We noticed that their habitat warm, that there were a lot of plants, we saw butterflies/moths flying all around, and a few of them even landed on us! 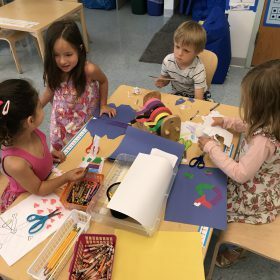 As we prepare for the upcoming butterfly and moth celebration, we have been working on lots of different projects, including writing/illustrating a class big book, designing dioramas, creating scientific observational artwork, painting large-sized diagrams, and writing/illustrating our own non-fiction books. 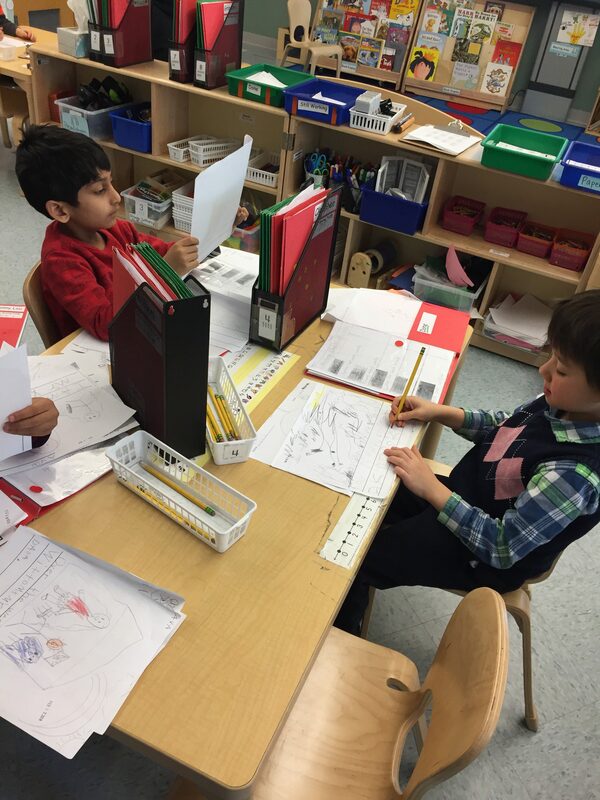 We can’t wait for you to come see all our amazing work on February 7! 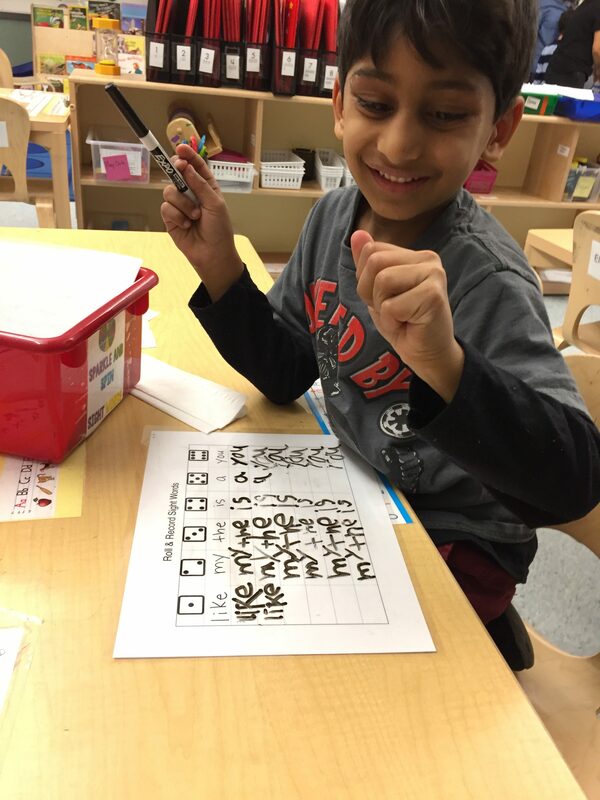 finish studying capital letters and continue to learn/incorporate new sight-words into our writing. 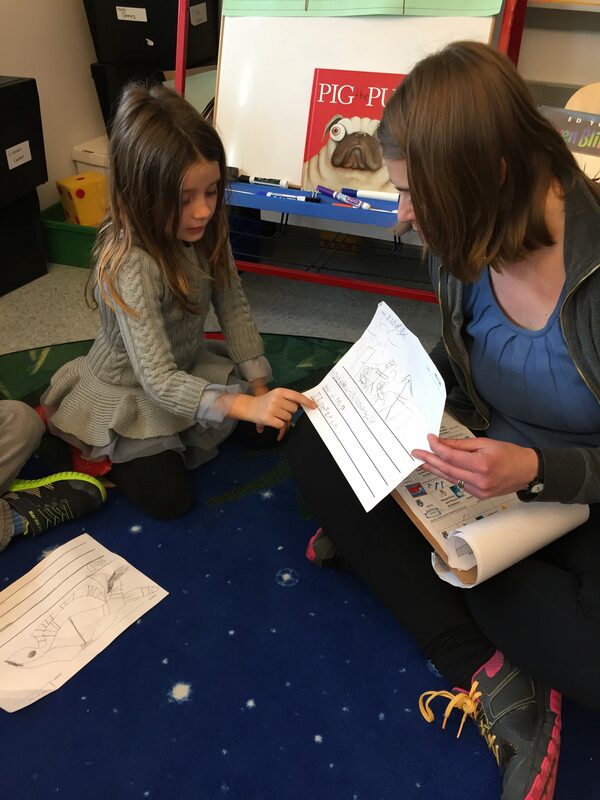 begin a “Writing for Readers” unit from Teacher’s College. borrow “just right” books to read at home and build our independence as readers. 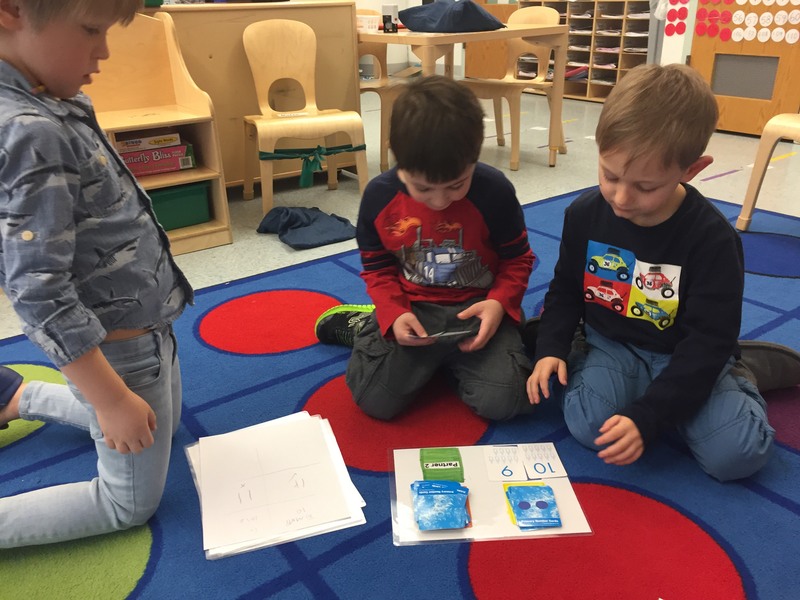 continue developing our understanding of addition and practice math concepts with “just right” partner games. While we will be off for winter recess soon, we have been busy this December! See below for all the great work we’ve been doing in reading, math, writing, and content study. 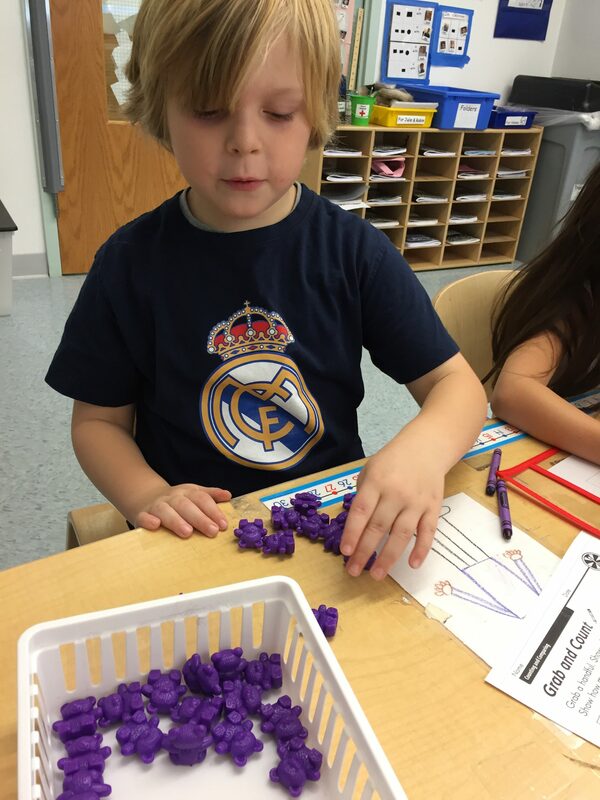 We are sending a warm welcome to a student who has joined our class this month, Pedro, and his parents, Amanda and Lucas. We are also delighted to have two new teachers assisting regularly in the classroom: Welcome to Sherelle and Chevonne! 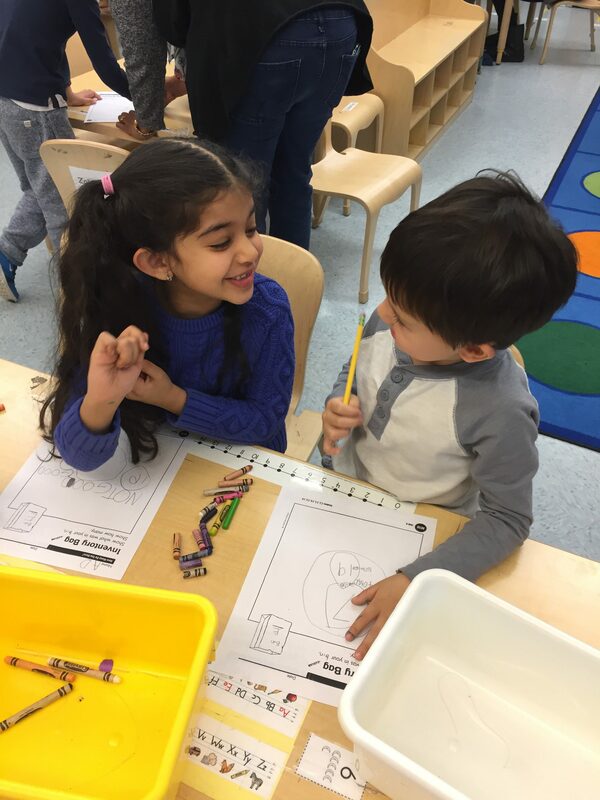 For more information on what’s happening in K-222, remember to keep an eye on our class Instagram page (@k222pss). 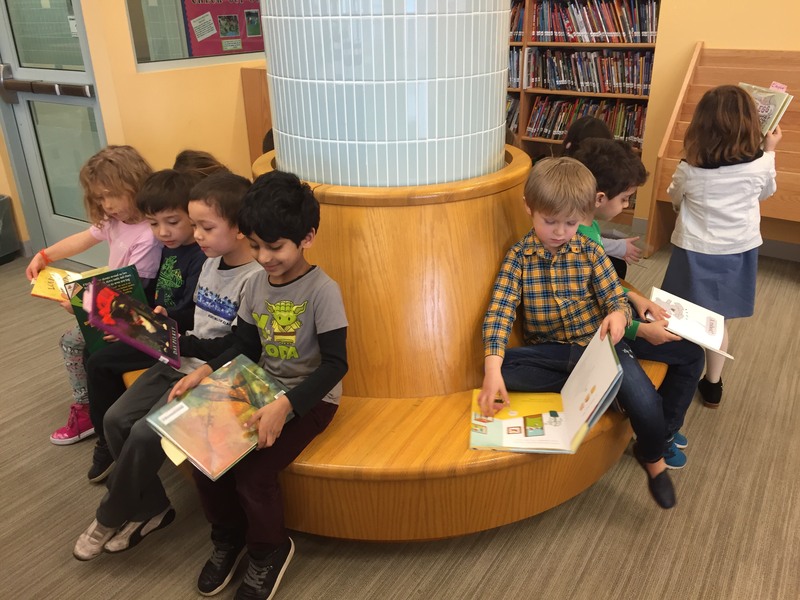 The students of K-222 are reading! 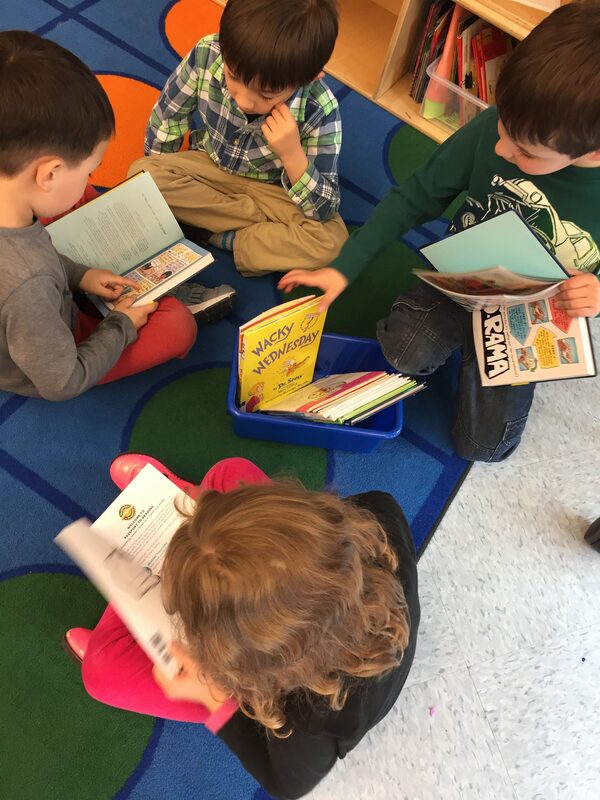 Every day, we have time to get inside our personal reading bubbles and do some independent reading. 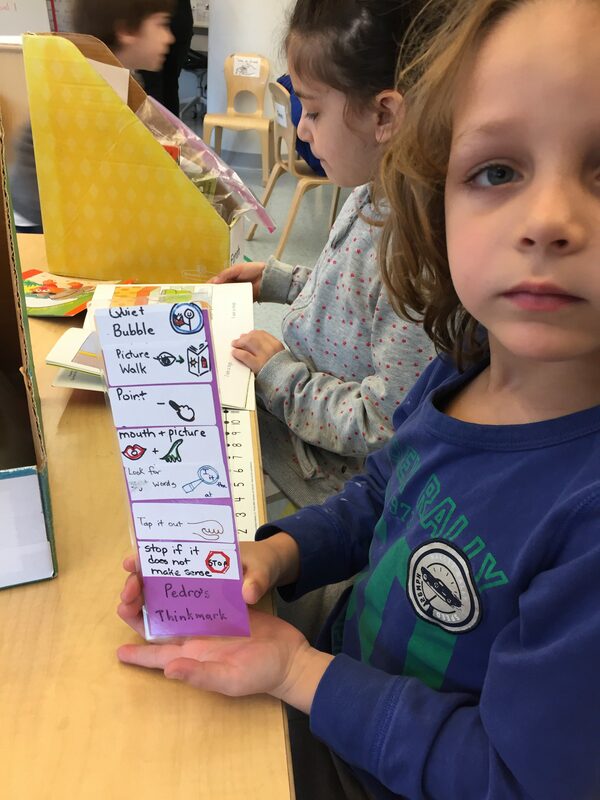 This month, we’ve been learning and using reading strategies like, “point at words as you go across the page” and “say what’s in the picture to help sound out the word.” We each have our own “thinkmark” too, which is like a bookmark. 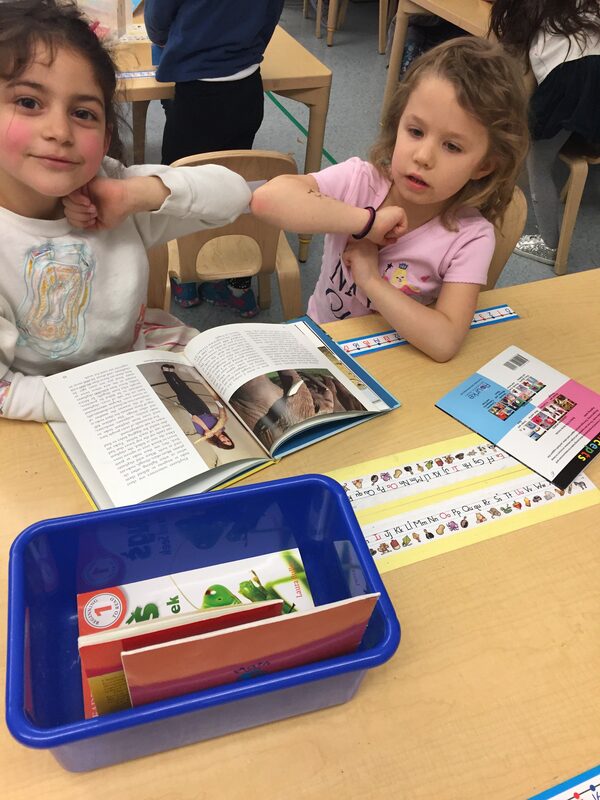 Everytime we learn a new reading strategy, the sticker for that strategy is added onto our thinkmarks. These have been a great tool for our early reader books. 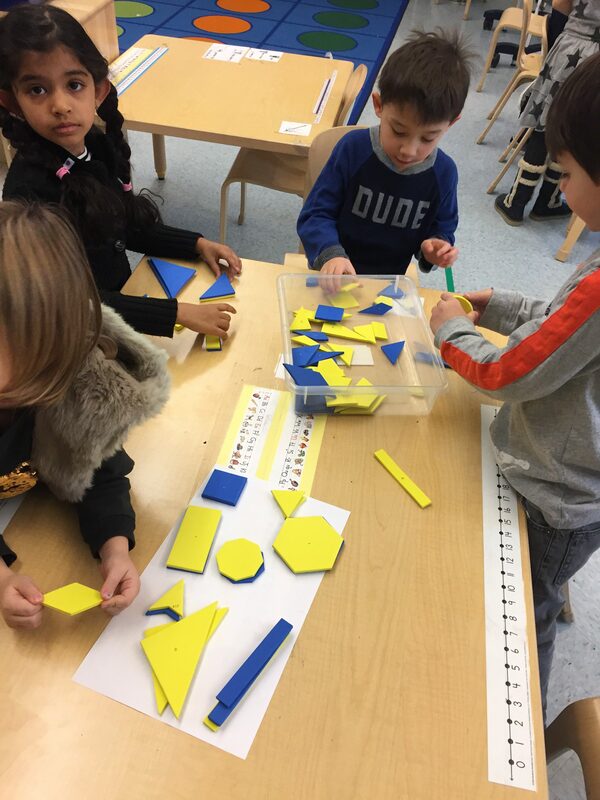 When we are wondering about a math question, we are noticing that there are different ways to solve problems. 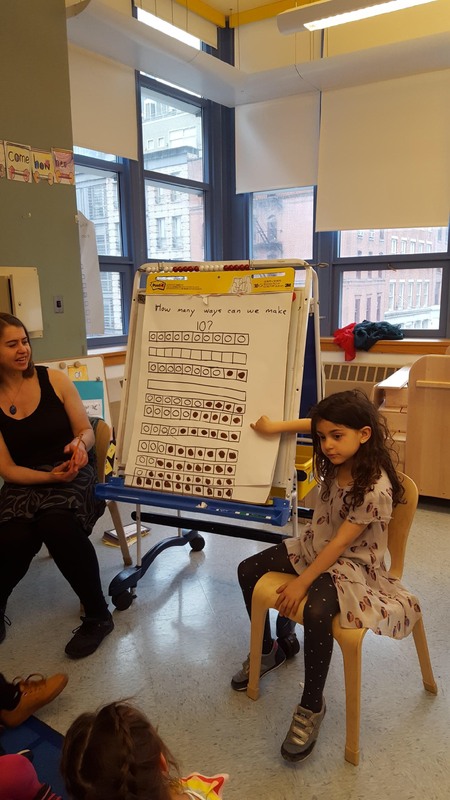 “How many days have we been in school?” has sparked conversations around ways to use a variety of mathematical models. 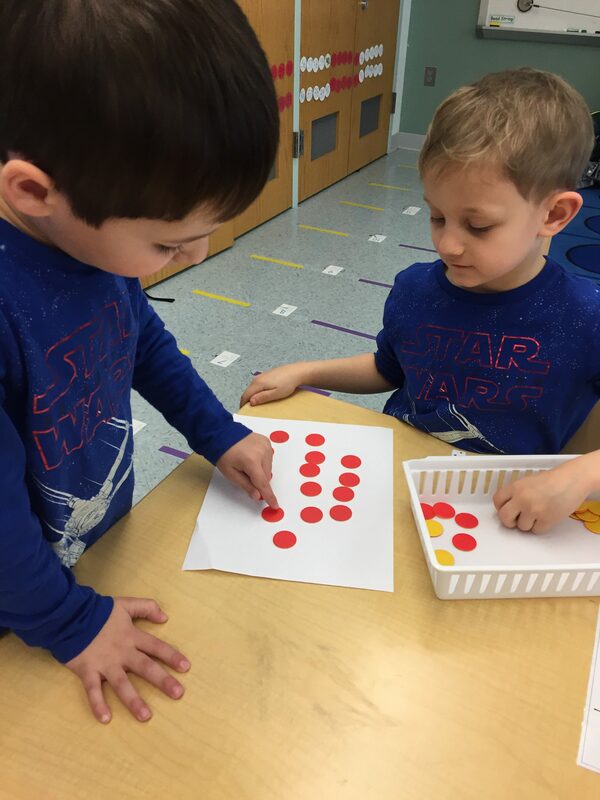 We are experimenting with counting by ones, fives, and tens. 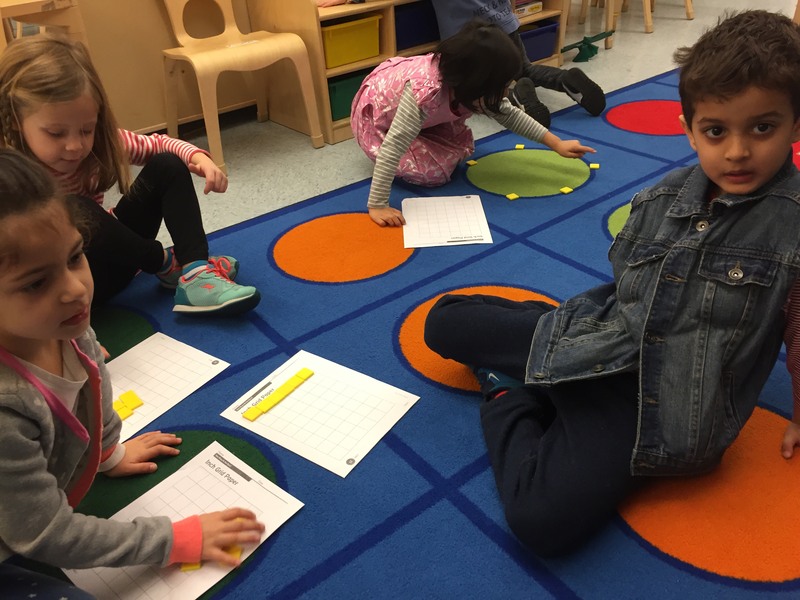 As we explain our own ideas and listen to the ideas of our peers, we are developing important skills in thinking mathematically, understanding another approach, and quantitative reasoning. We are also gaining a sense of five as a combination of 5-and-0, 4-and-1, and 3-and-2. 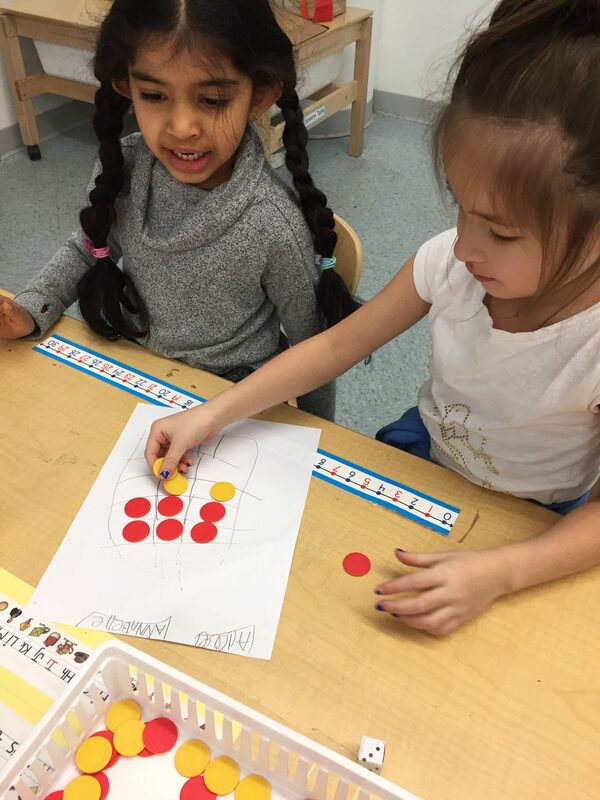 In the “How Many to Make Five?” game, children work with a partner to guess the missing quantity to make five: “If I have one red dot, how many more do I need to make five?” We check our answers and then record the data on a sheet. 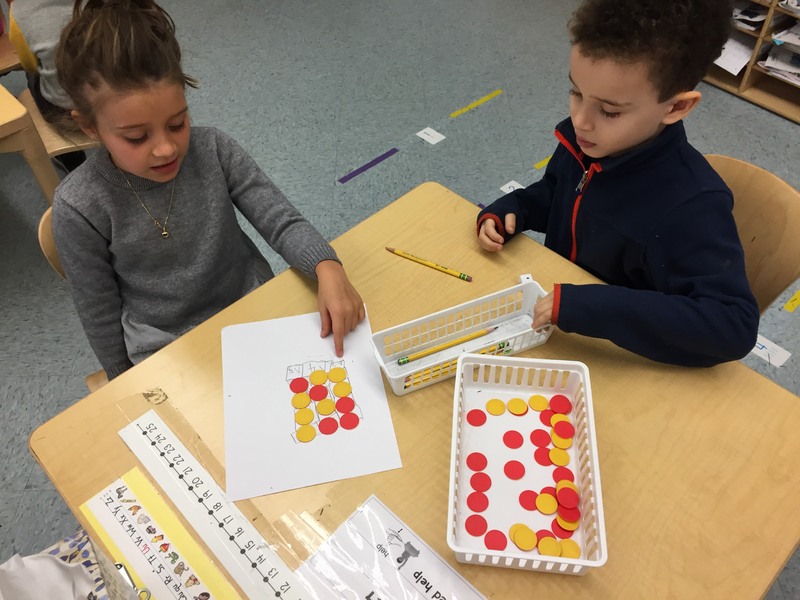 Some students have been challenging themselves with the “How Many to Make Ten?” version. 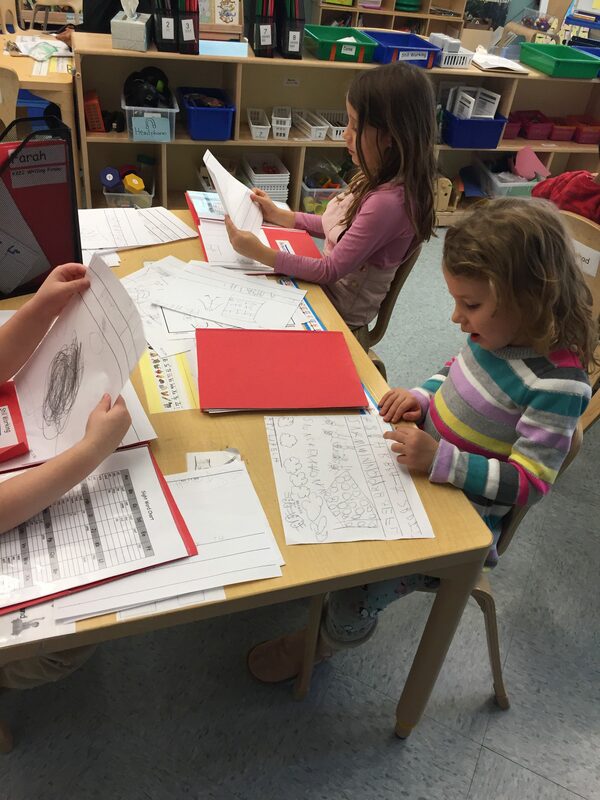 Literacy Centers have been a busy time for the Writers of K-222! 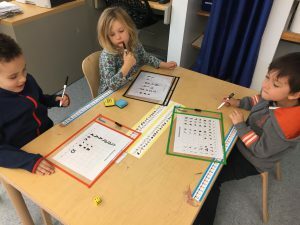 From keeping written correspondences with teachers at the lined-paper-and-envelopes-center to sign-making at the index-card-center, children are engaged in open-ended learning activities. 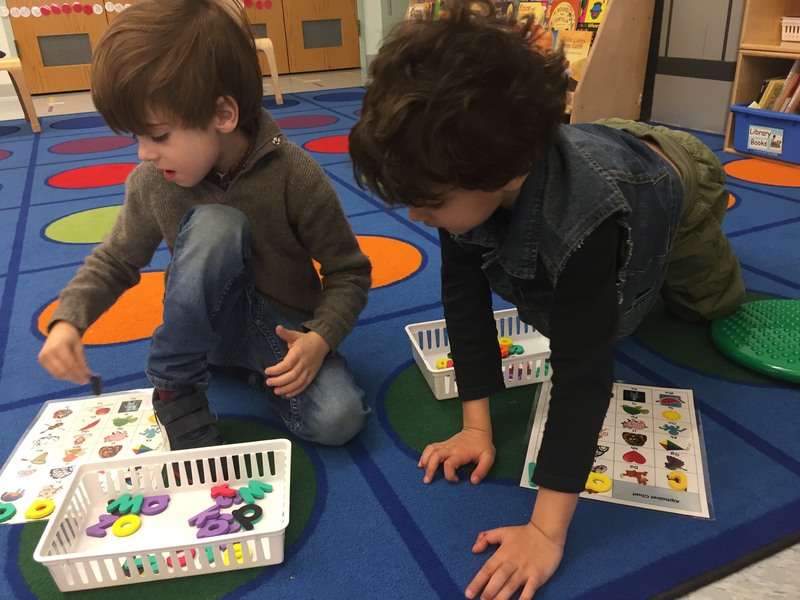 These centers allow each child to challenge himself/herself at his or her own level of development. Did you know that when you don’t know how to write a word, there are some strategies you can use to figure it out? Children are becoming more independent with strategies like “stretch-out-the-word,” “borrow it from the word wall,” and “use the alphabet on your table.” If you were able to come to our Family Friday this month, you had the opportunity to see some of the “Sounds in Motion” work we’ve been doing with Torrie. 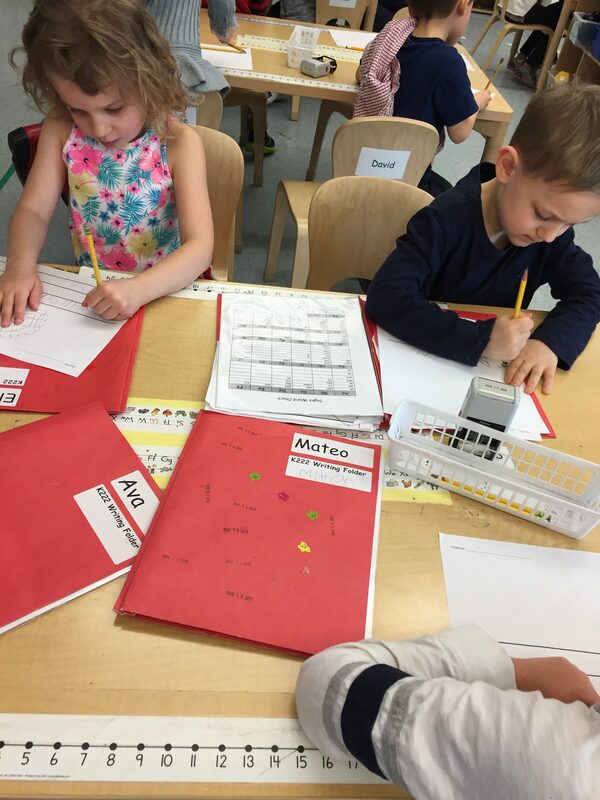 Children are using the letter sounds they’ve learned to help sound out words during writing activities. 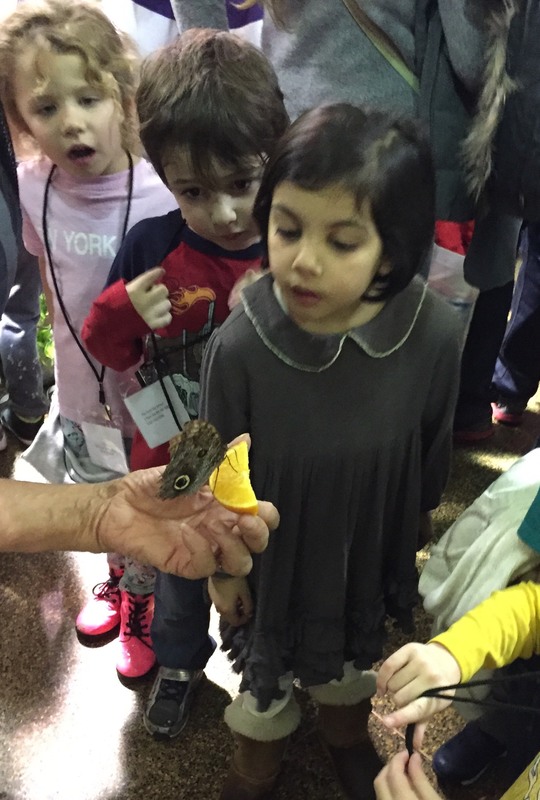 What are the parts of a butterfly? 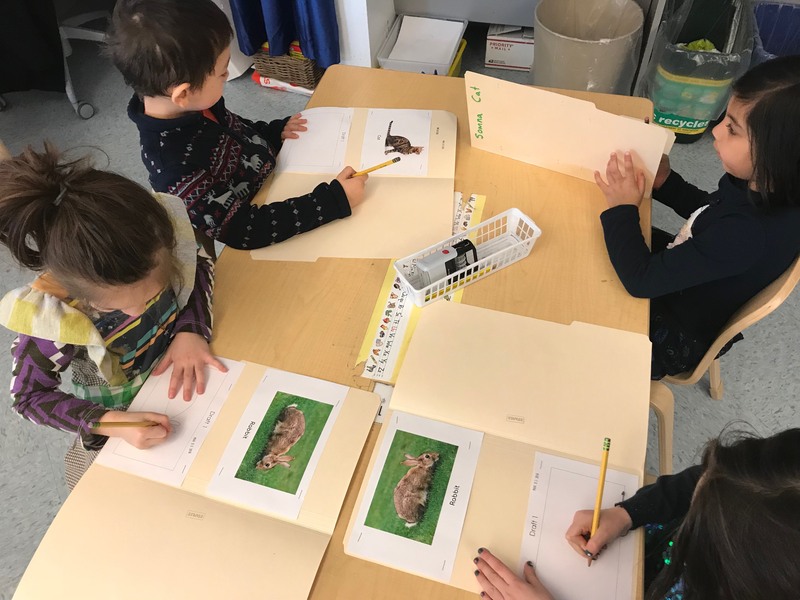 As we learn more about moths and butterflies, we are launching into reading and writing about non-fiction. 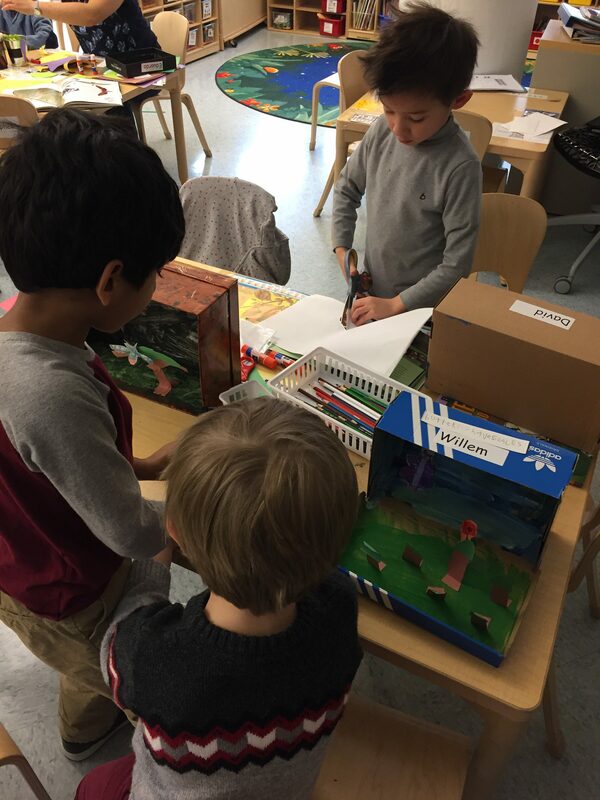 As we conclude this study, we will be creating dioramas of butterflies and moths. Please start collecting shoe boxes for this project now! 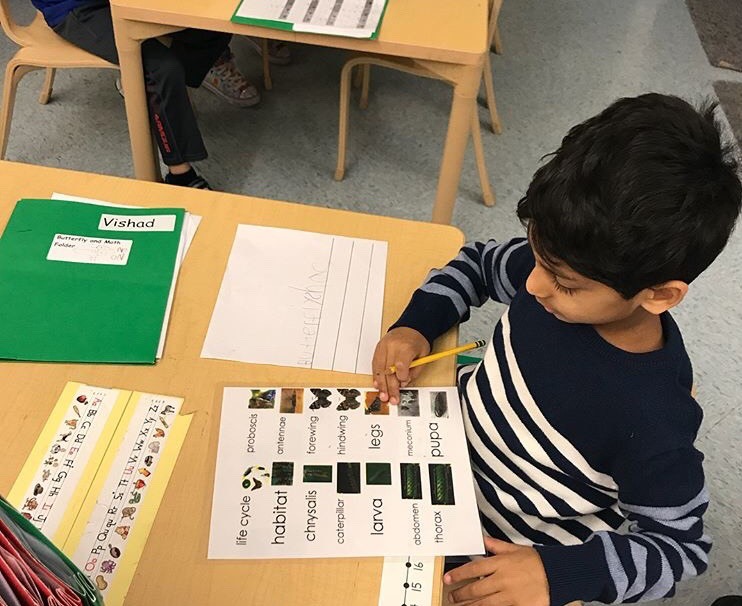 begin studying capital letters and extend our work with sight-words. conclude our study of moths and butterflies. practice the reading and writing strategies that we’ve been learning. 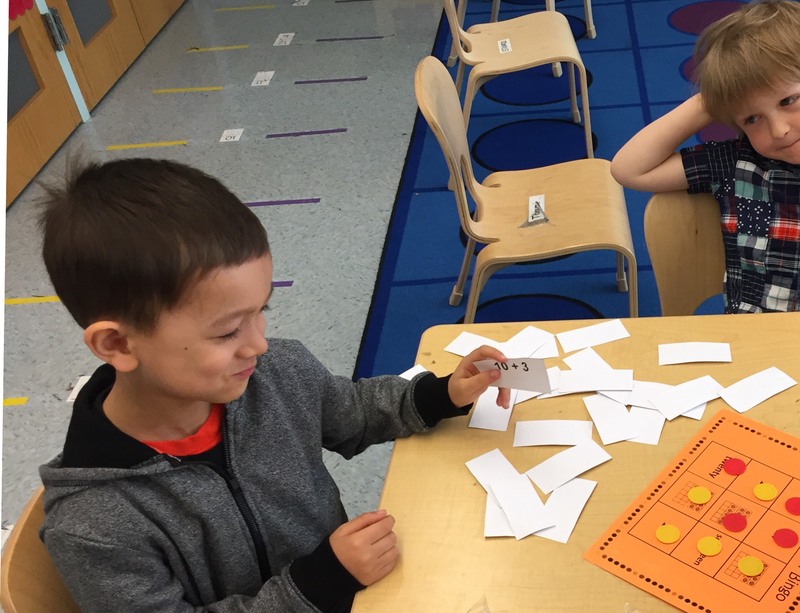 begin working in leveled guided reading groups and learning to pick “just right” books. 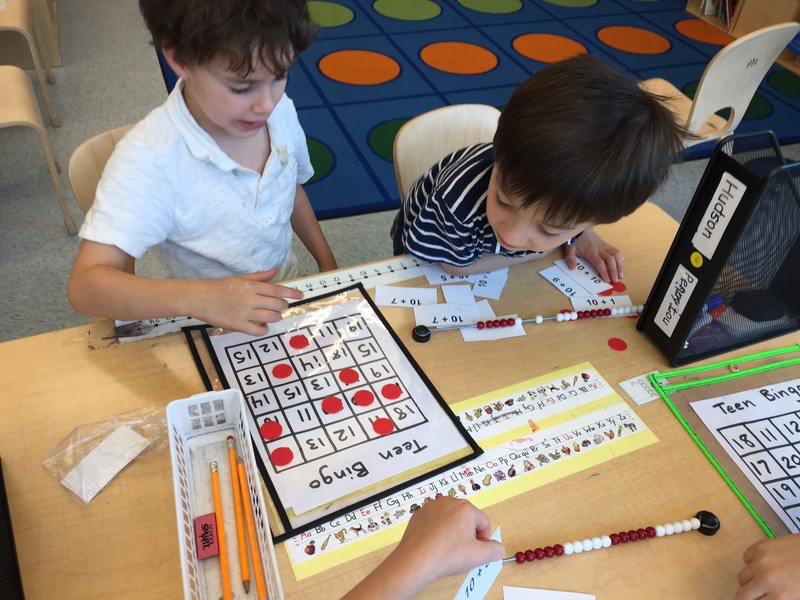 explore 2-D geometry, number patterns, and “just right” math games. Thanks to everyone who was able to come in for Parent/Teacher Conferences. It was a pleasure speaking with you about all the growth and development of the students! 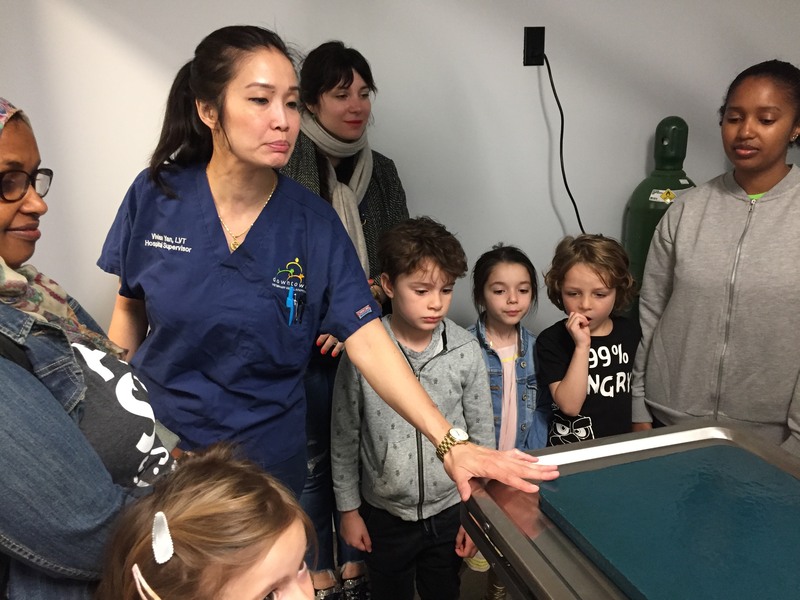 We hope to see you again on Thursday for our monthly Family “Friday” visit. Are you looking for ways to encourage your child to talk more about school? Remember that this newsletter and our private class Instagram page (@k222pss) can be useful tools for conversation starters! We check email after dismissal every day, so feel free to contact us at rsmith80@schools.nyc.gov, jlee100@schools.nyc.gov. 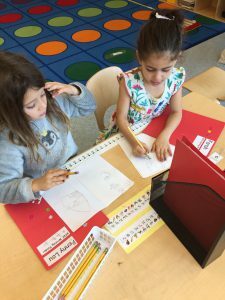 The Readers of K-222 have been noticing that a character in one story can be similar to a character in another story. We’re using words to describe the characters we’re reading about, like “loud,” “funny,” “hard working,” etc. We’re trying on a variety of different character voices too, as a way to reflect who is speaking. 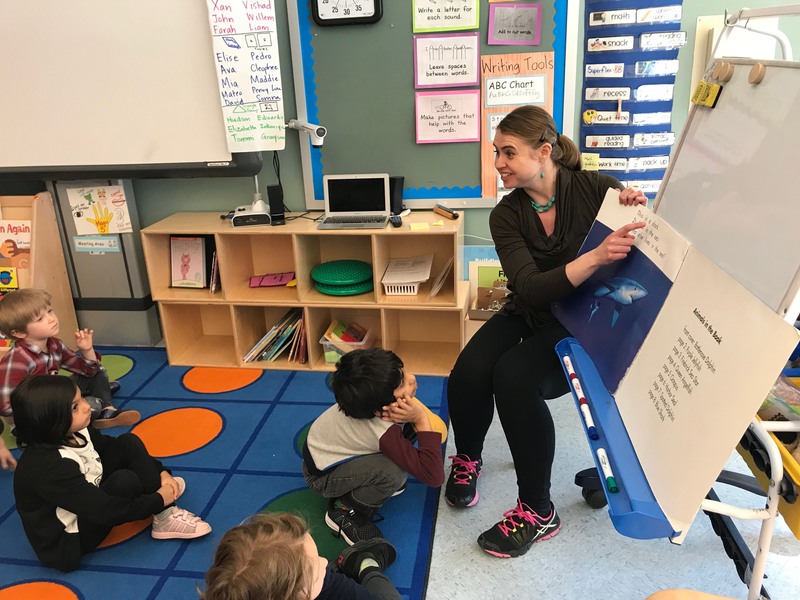 We’ve been reading books together at read aloud times with a theme of being thankful and appreciative, like Bartholomew and the Oobleck by Dr. Seuss and The Thankful Book by Todd Parr. 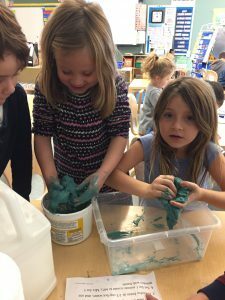 Literacy extensions of these stories included reading a recipe and making our own “oobleck,” using sign language to show if we are thankful for the same things as Todd Parr, and drawing/writing about what we are thankful for. Another new and exciting element in our reading program is a monthly visit with our fifth grade reading buddies! 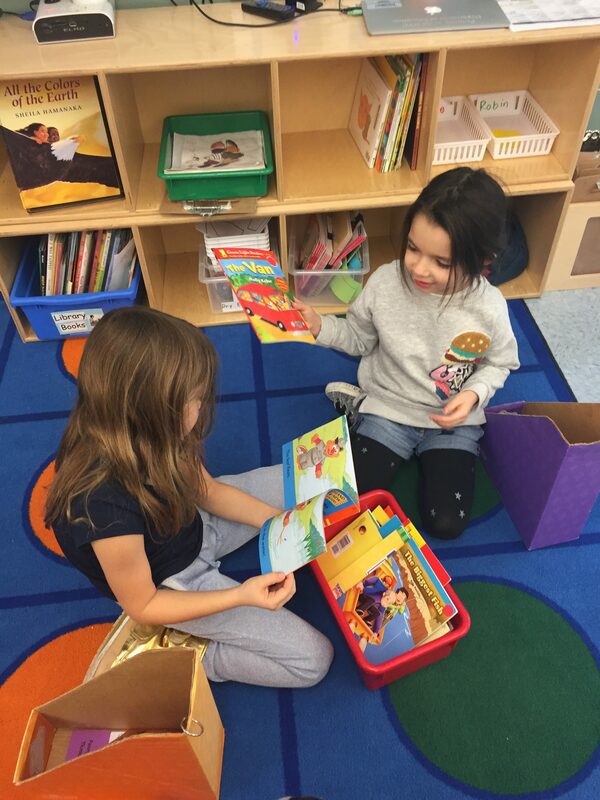 When they came to our class this month, we shared books from our classroom library with them. We have done a lot of counting! 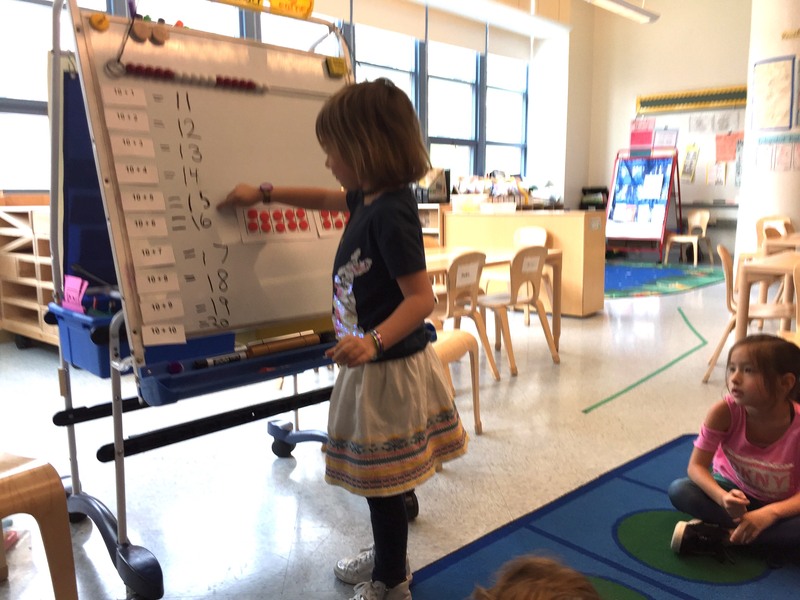 We are particularly interested in different ways to show a number. 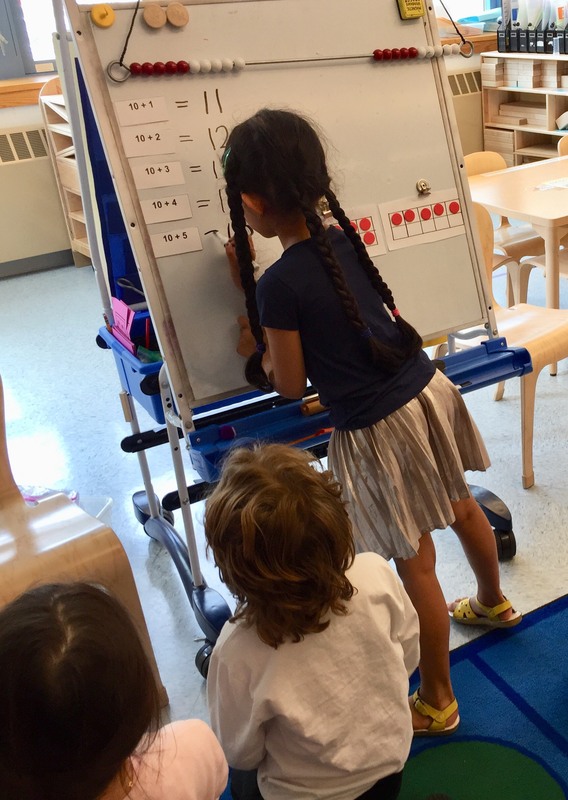 When we calculate how many days we’ve been in school, we show the answer with the growing number line, tens frames, bead string, written number, and hundred chart. 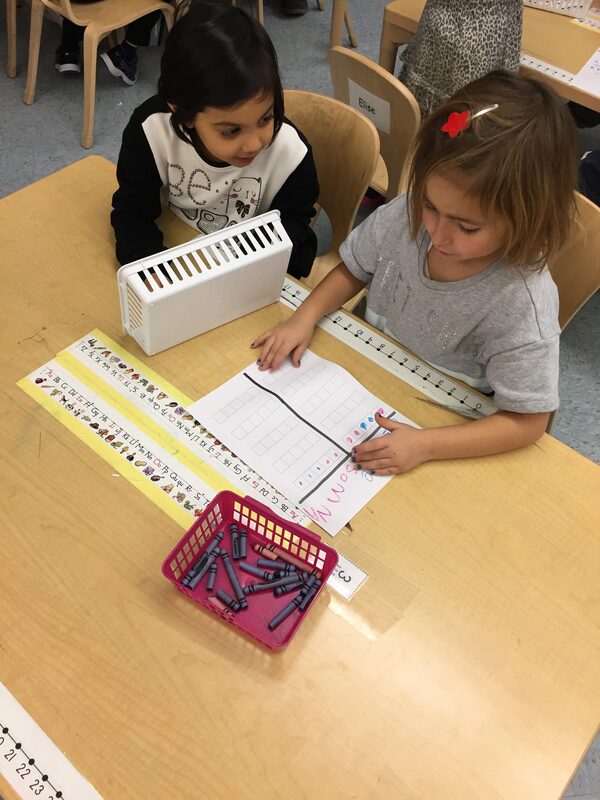 We each made a counting book too, where we used a variety of models to show each number. There are moths and butterflies growing in our classroom! When the butterfly caterpillars came, they were very small. 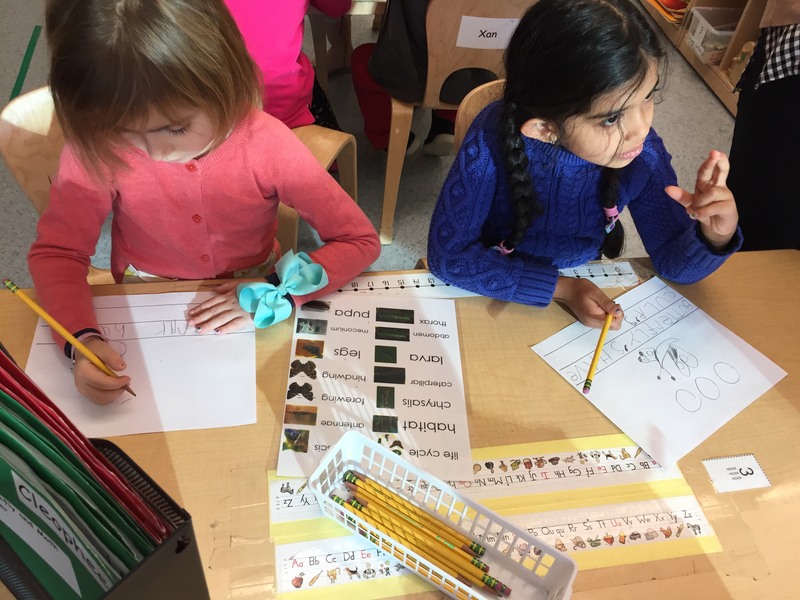 As they got bigger and changed into chrysalides, we used colored pencils to make scientific observational drawings that show exactly what we saw. 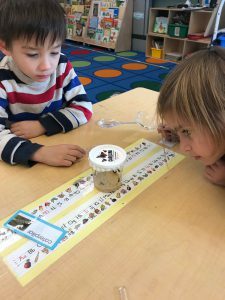 The moth cocoons are usually still and look like “rocks” or “leaves.” Sometimes we see them move, and we’re trying to be patient as we wait for the moths to come out! ~conclude our study of lowercase letters. ~learn more about moths and butterflies through observation, research, discussion, and writing. 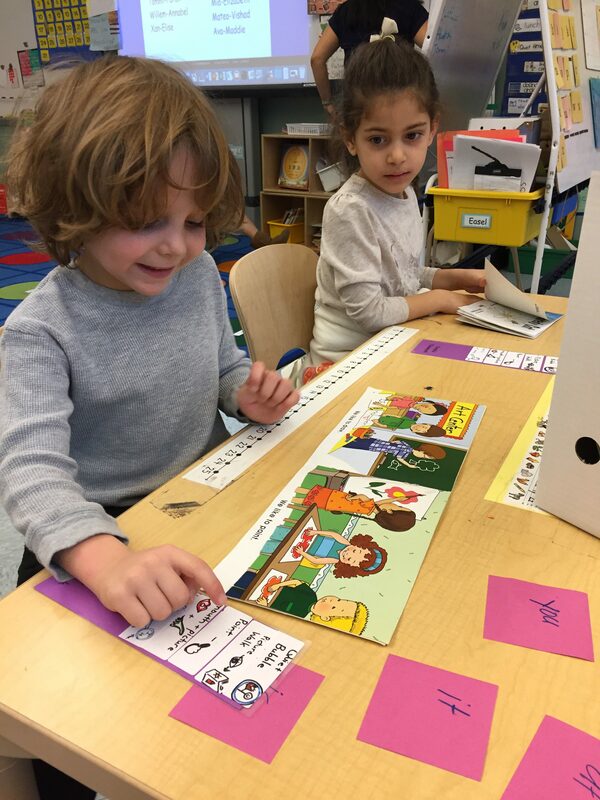 ~expand our reading fluency by exploring reading strategies. 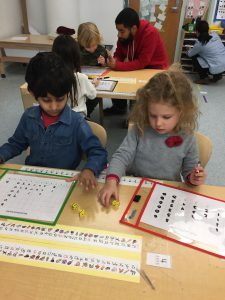 ~continue to develop our skills in counting, try some math partner games, and deepen our understanding of five. We have been settling in nicely into the school year! We will be moving to the original 11:50am lunch schedule starting on Monday October 30! Also, a new para, Lucy will be joining us as Millette will be assisting another student in the upper grade. Millette will be missed but we are excited to have Lucy! 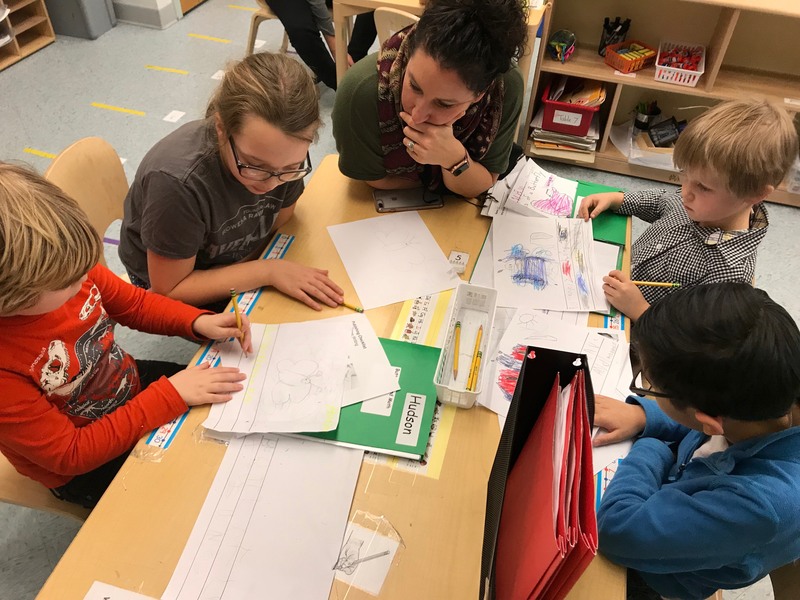 We have been retelling familiar stories using the “Five Finger Retell.” This helps us to identify five important elements of a story: the characters, setting, the beginning, the middle, and the end. 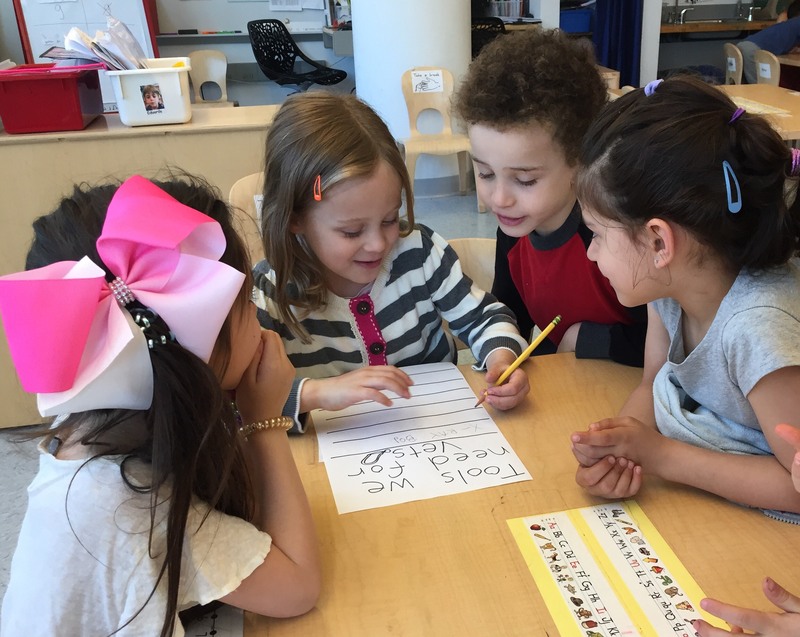 We’ve enjoyed using the Five Finger Retell for stories like “The Three Little Pigs,” “The Little Red Hen,” and “The Billy Goats Gruff.” We even got to out some of the stories out in small groups! 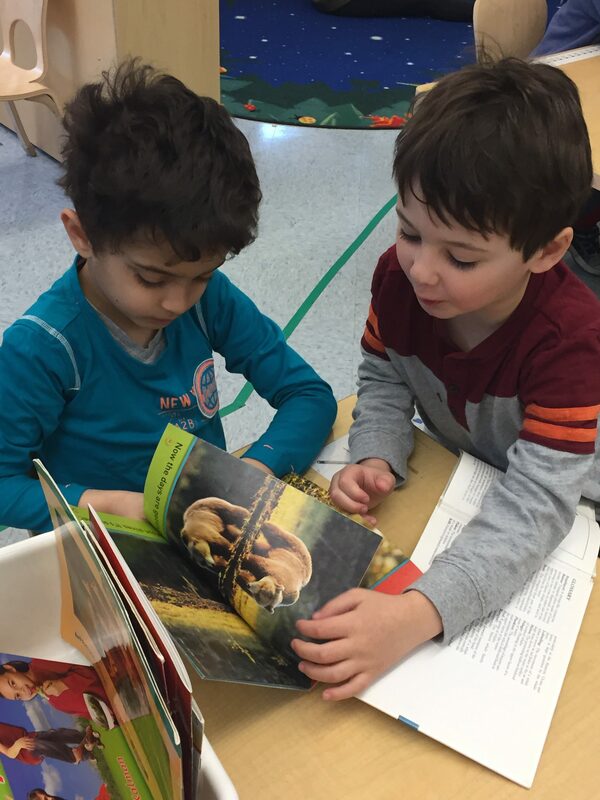 We‘ve also been practicing how to read with a partner. We do this by sharing one book, using a “Level 1” whisper voice, and taking turns turning the pages. 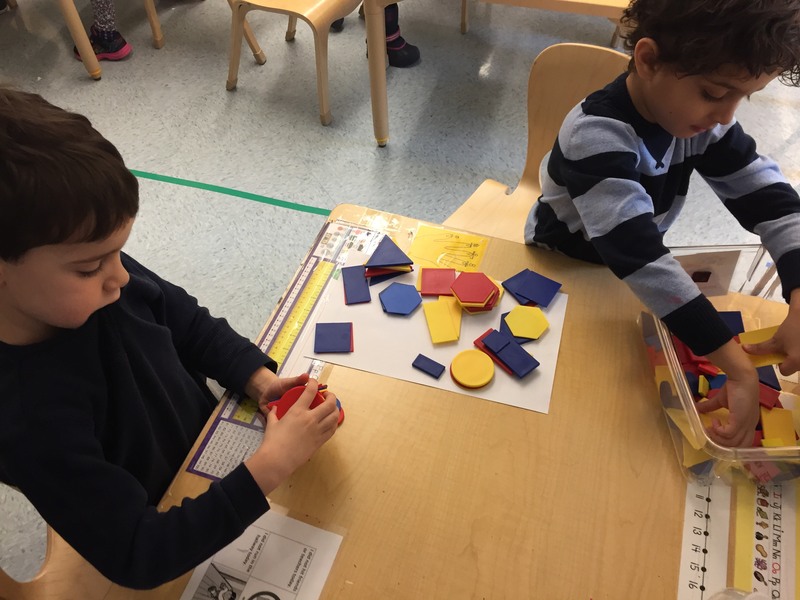 We learned a lot about patterns! 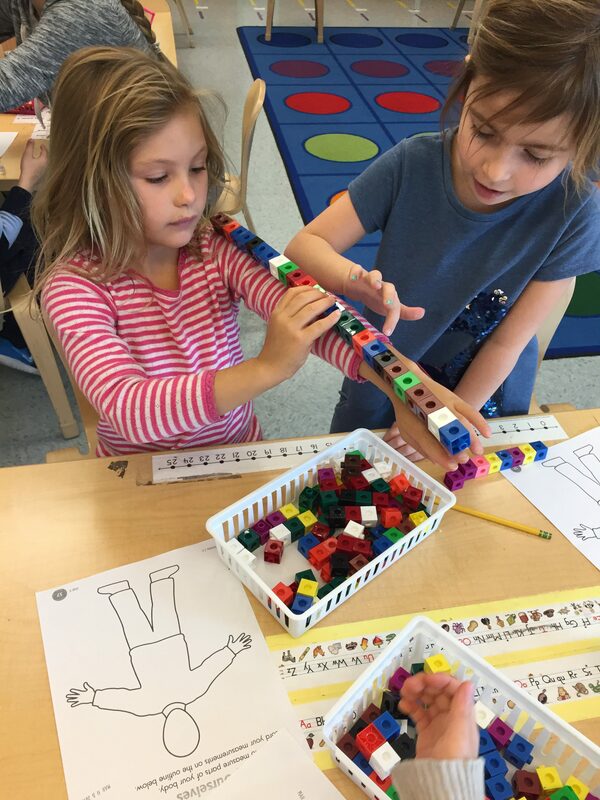 We’ve been building, identifying, counting, dancing, and discussing patterns. 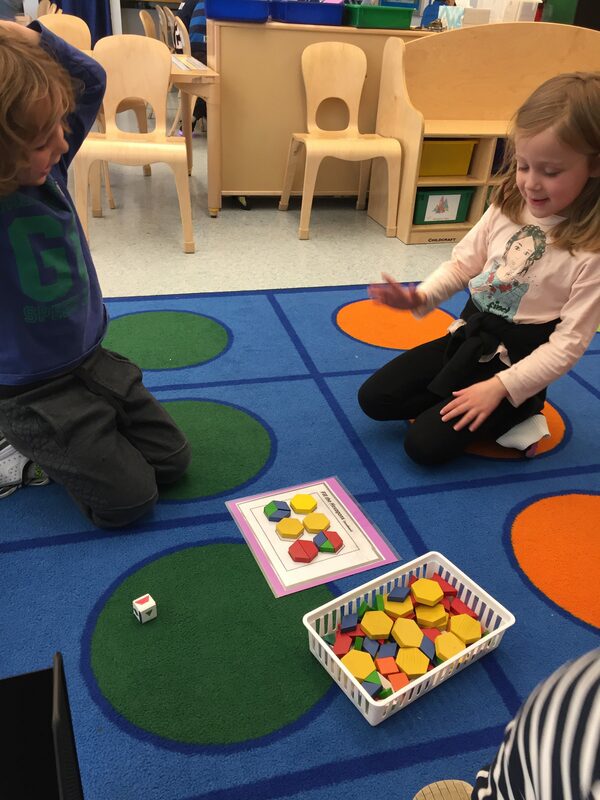 We used colored tiles, pattern blocks, and unifix cubes to create our own patterns and learned about naming the repeating unit. 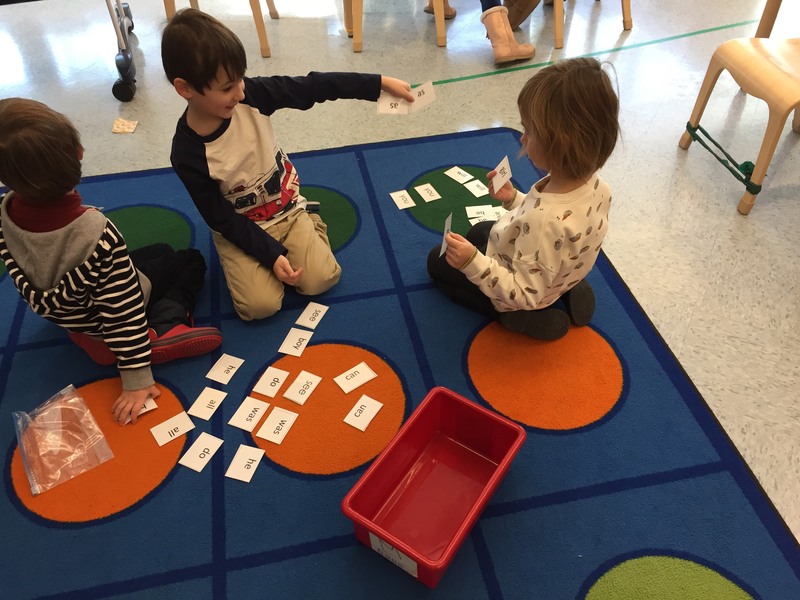 We’ve had fun playing the “What Comes Next?” game, and we also learned to name our patterns. 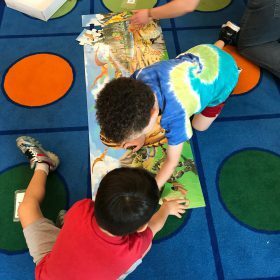 We also learned our first partner game called “What Comes Next.” Those of you coming to our Family Friday on October 27th will be able to play this with your child! 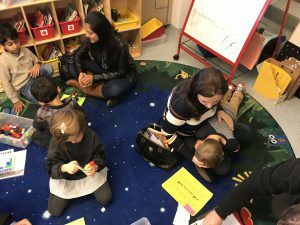 Thank you to all the parents that attended our First Family Friday visit! We hope you enjoyed playing “What Comes Next” and “Build a City.” These game boards will be going home within the week so you can play them at home.